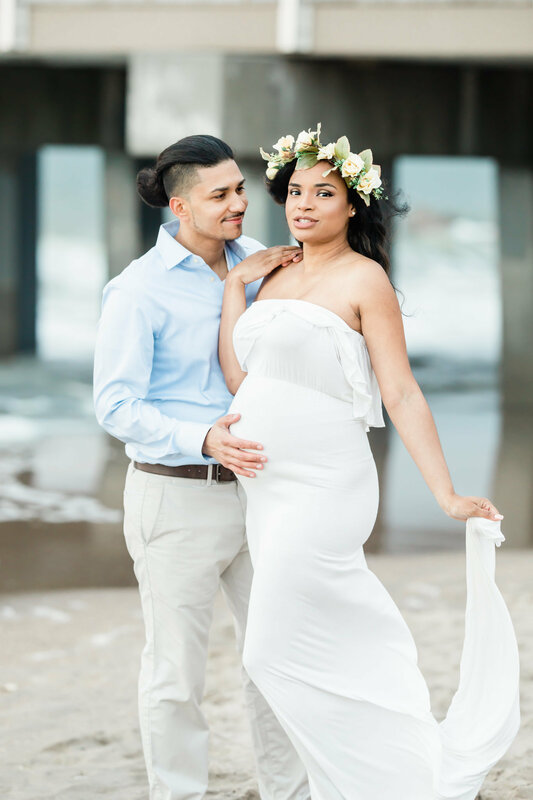 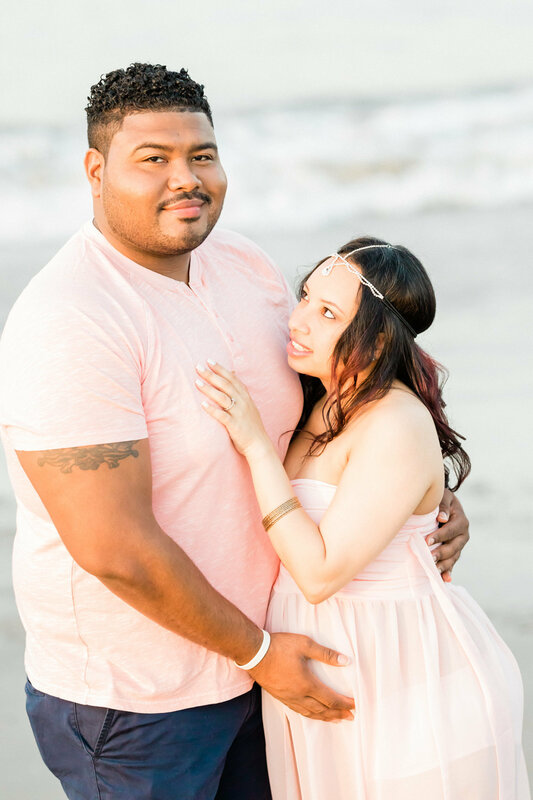 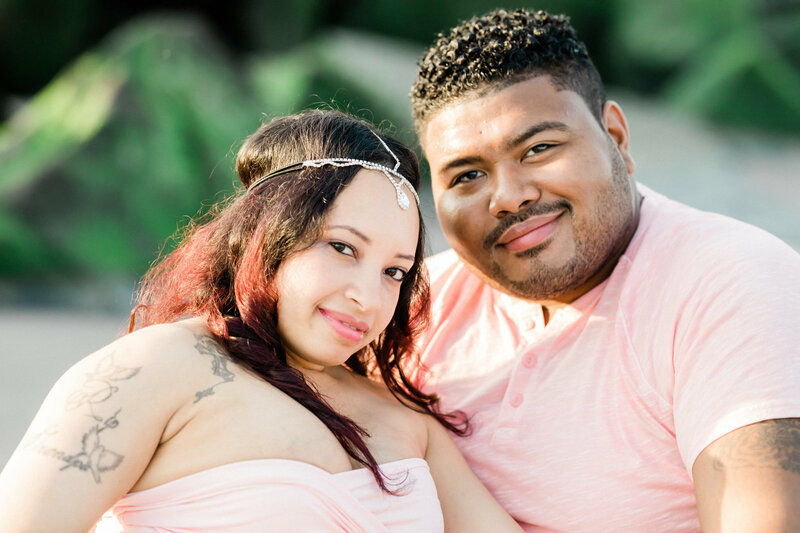 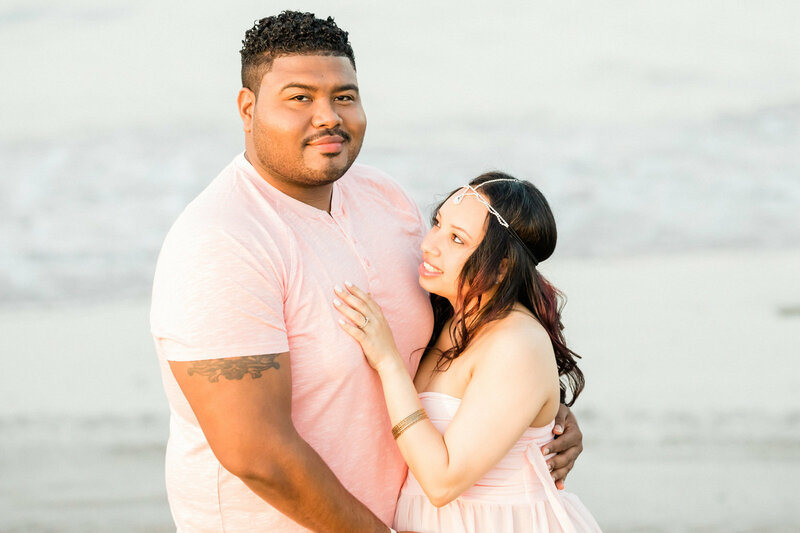 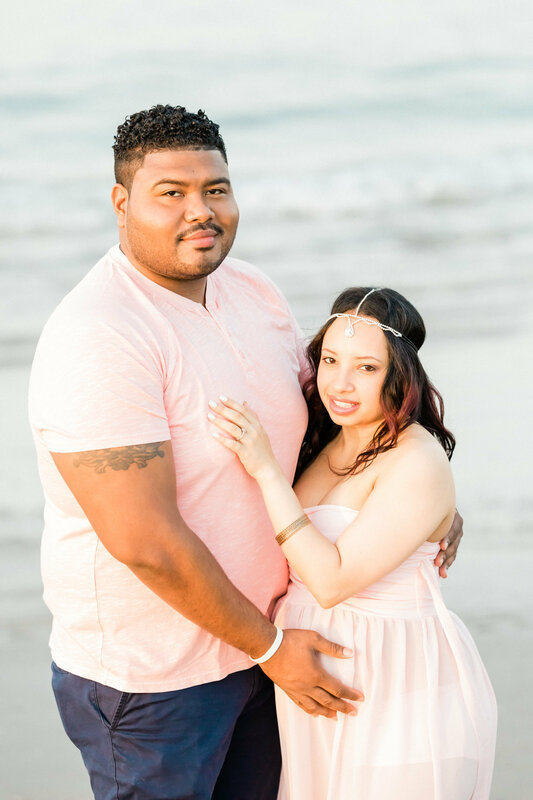 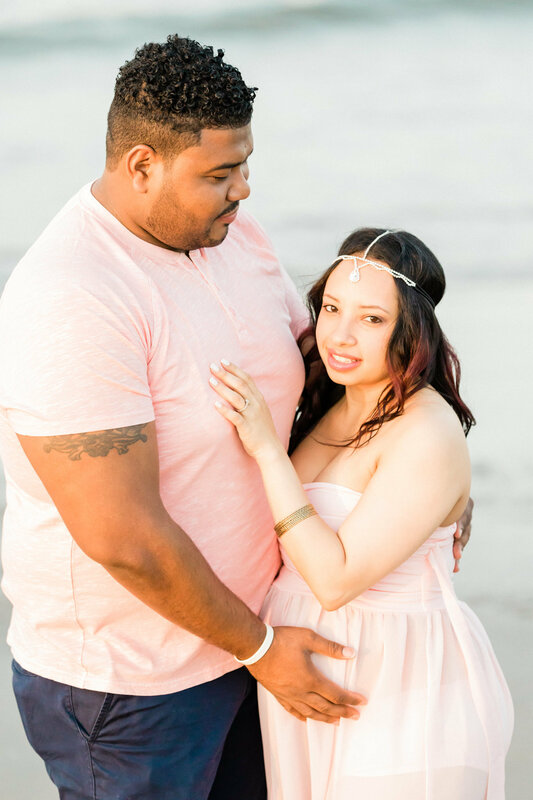 For those women that look to capture the beauty of their pregnancy in a hassle-free manner, look no further than Dreamcatcher Rose Studios. 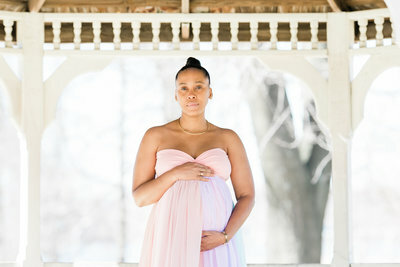 I offer maternity photography sessions, which typically occur during the second and third trimesters of pregnancy. 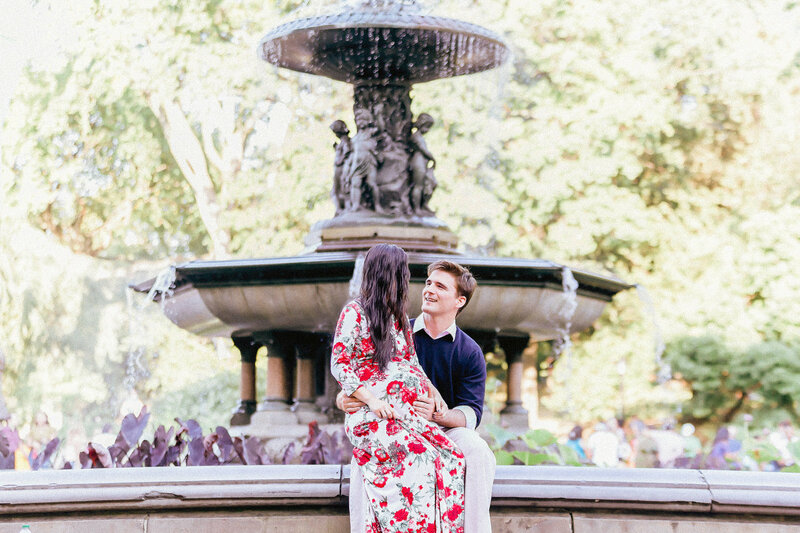 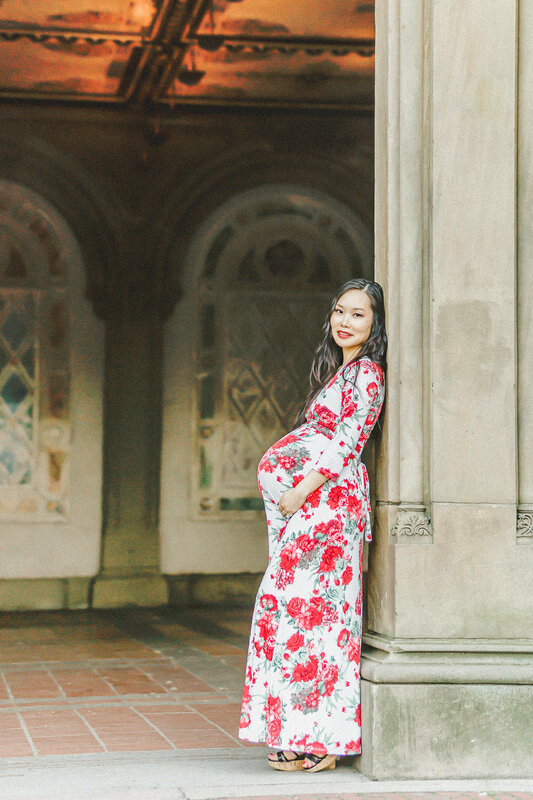 I strive to be one of the top maternity photographers in NYC with years of experience in this area of picture-taking. 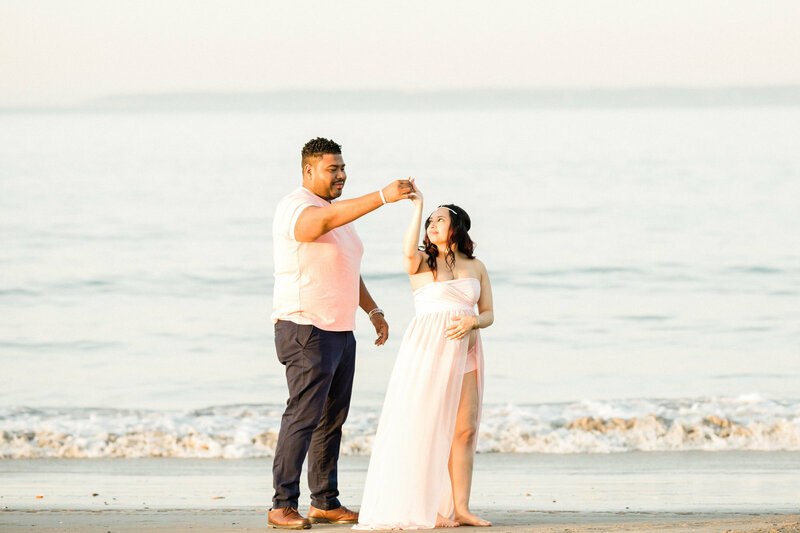 I also strive to be compassionate and offer affordable rates preventing you from leaving your pictures in the hands of an amateur. 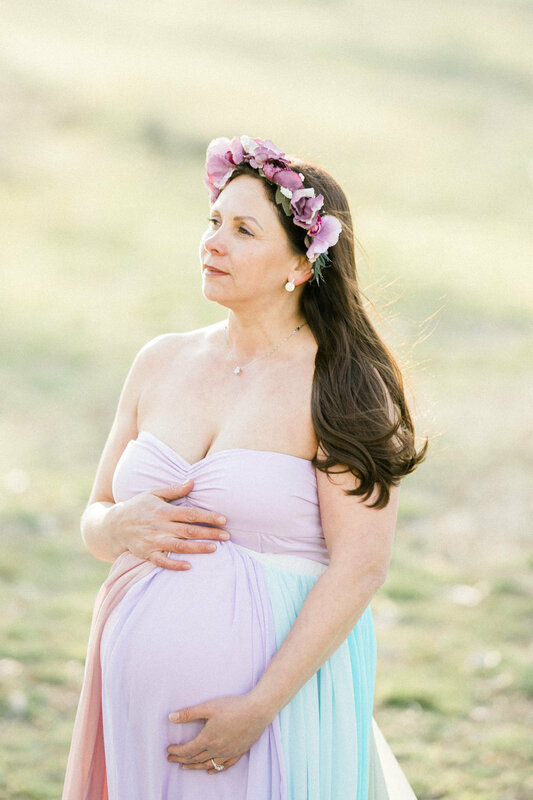 I started my company from love for my two clients, mother and child. 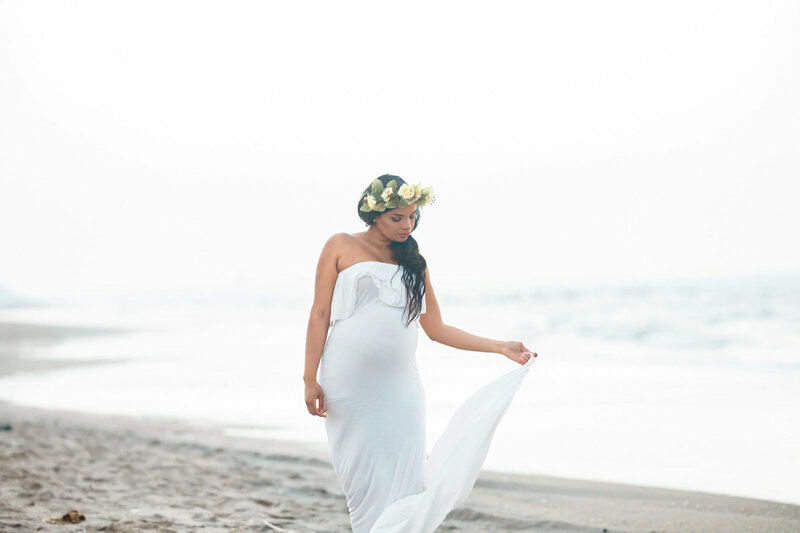 I love the process of creating a life and I love the result of that process more than anything else. 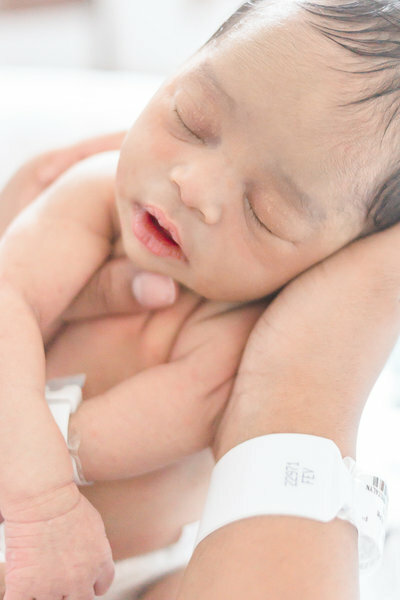 This is why I need more than just a phone call or an online form filled out. 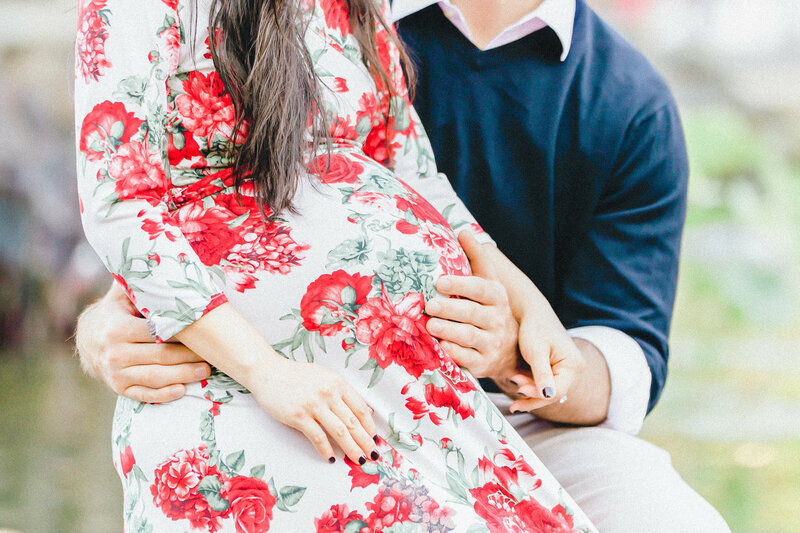 I want to meet you and to know you. 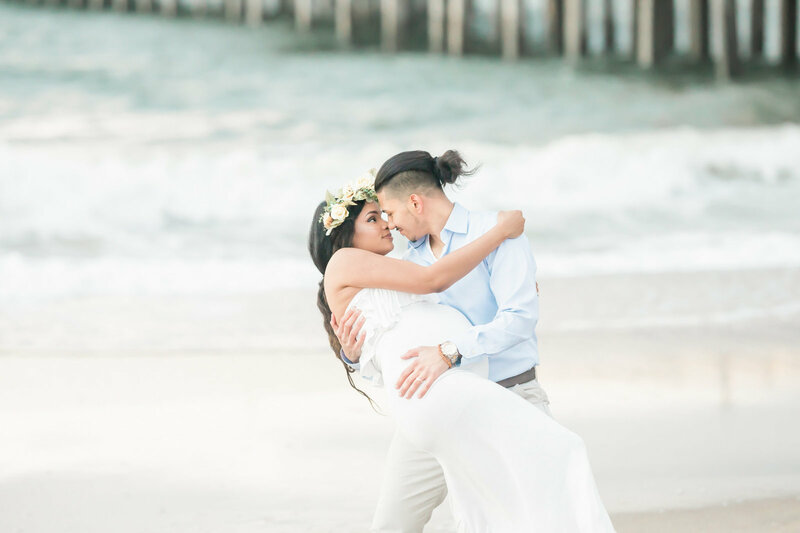 Together, we can collaborate on the best way to execute your vision for these amazing pictures. 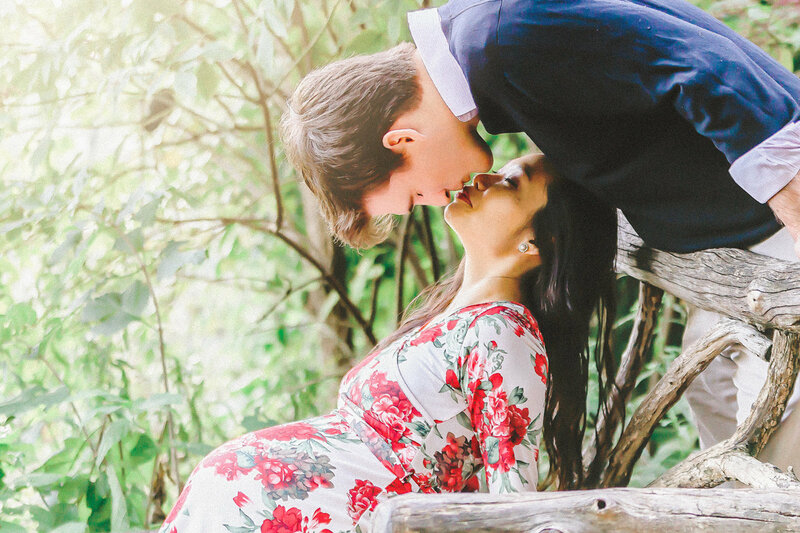 Pictures you will cherish more than any in your life. If we connect and you like my approach, then you have the option of booking me. 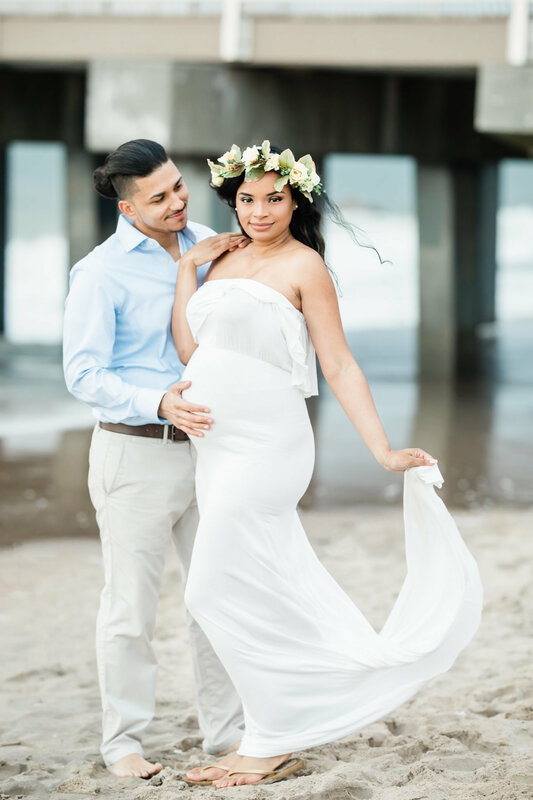 At that time, we will discuss your specific needs, conduct some general planning, and review your custom pricing. 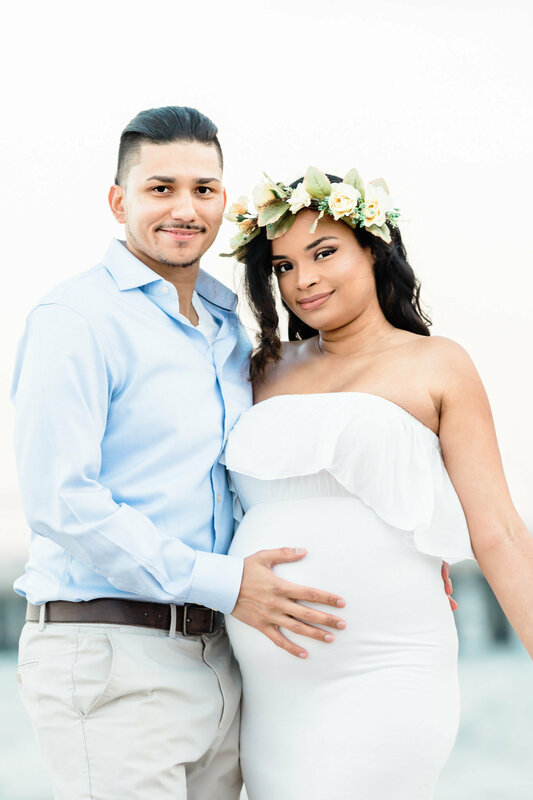 A simple agreement between us will be signed and then a retainer payment paid. 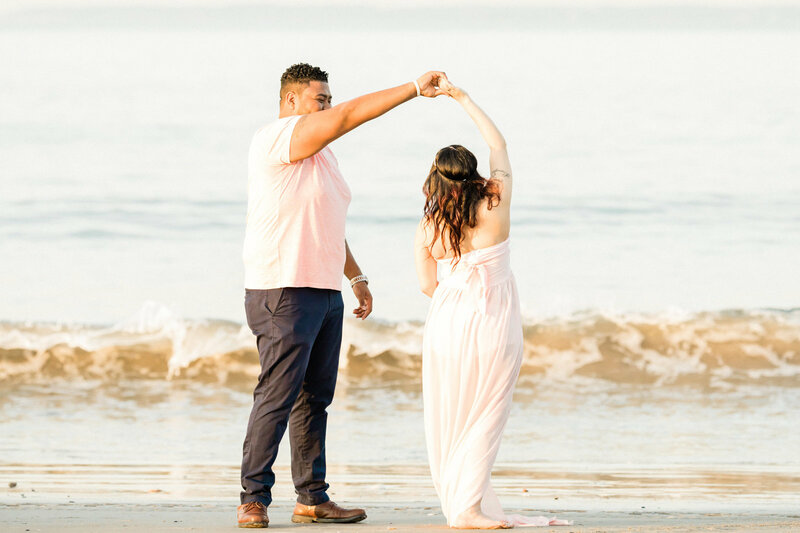 The booking step can occur during our initial meeting or it can happen afterwards. This is the step that takes commitment and I always want my clients to feel confident before moving forward. 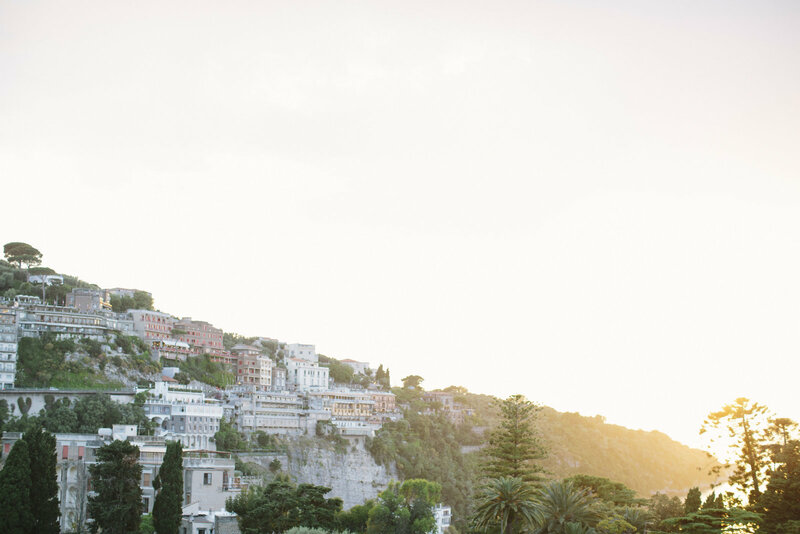 Now that we are going to be working together, let's setup a general time for our first client meeting. 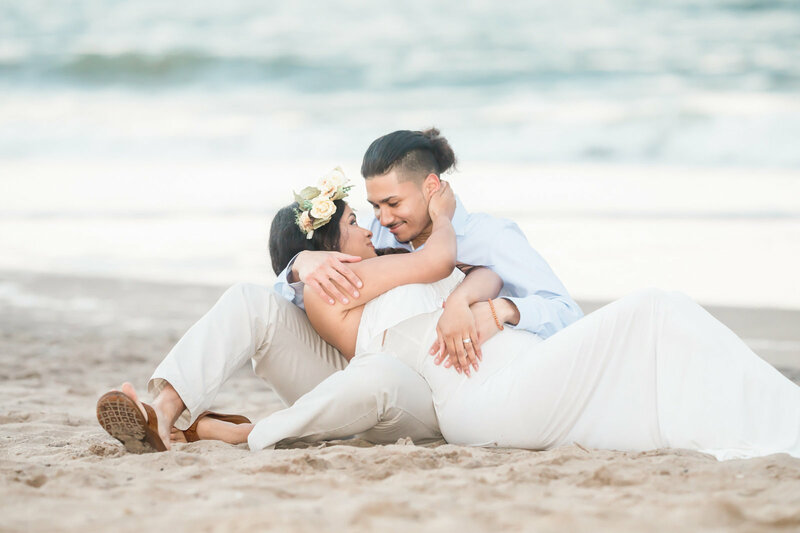 In preparation for this step, please set aside about an hour of your time over the next two weeks where we will discuss your vision for the pictures. 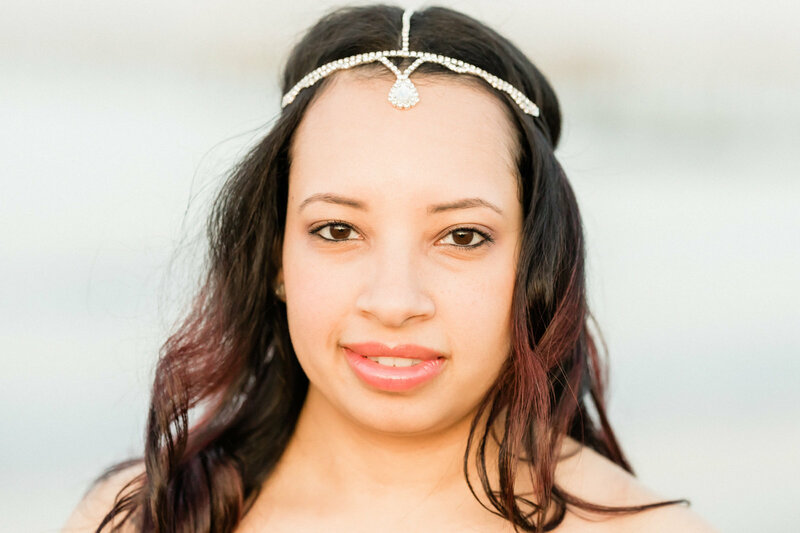 If you do not yet have a specific hope for the session together, then I am happy to assist you with creating something special for you. 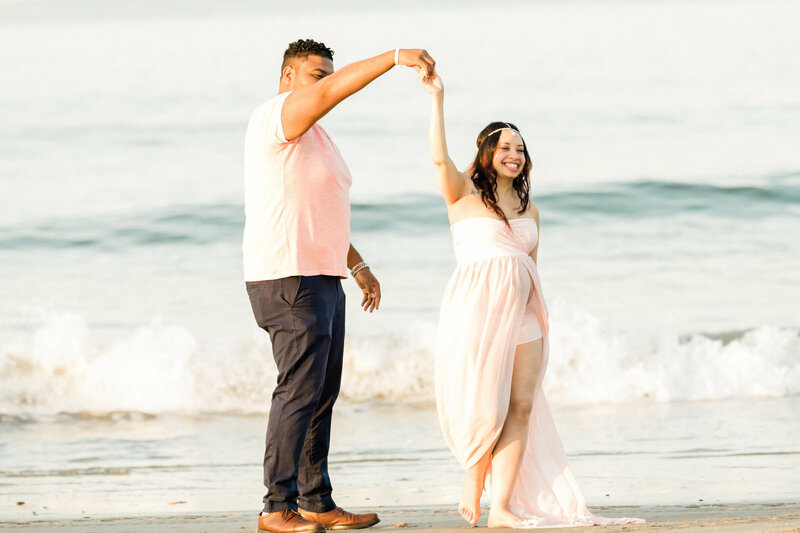 This step can occur after the meet and booking steps if we are moving forward quickly. 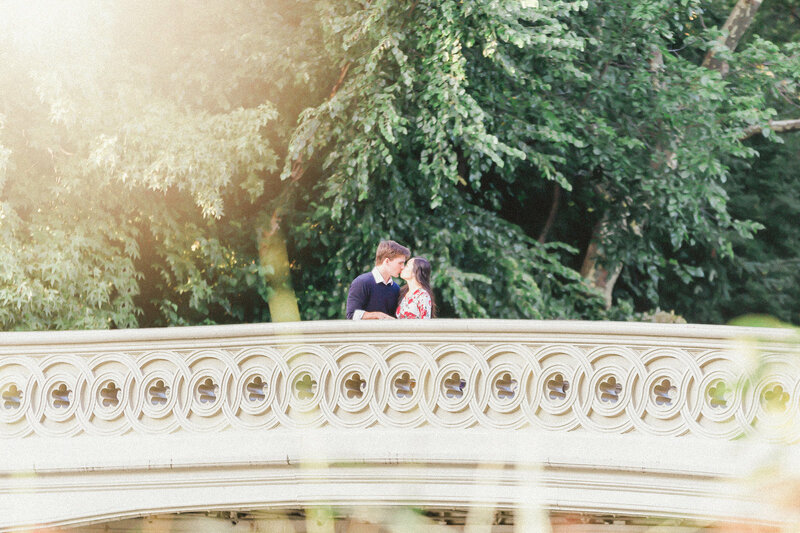 This meeting is where we will plan out the photo session's more granular details. 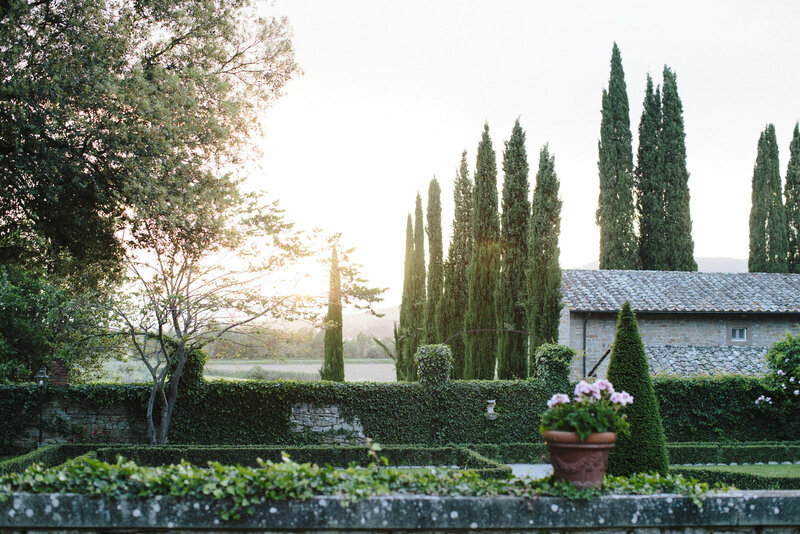 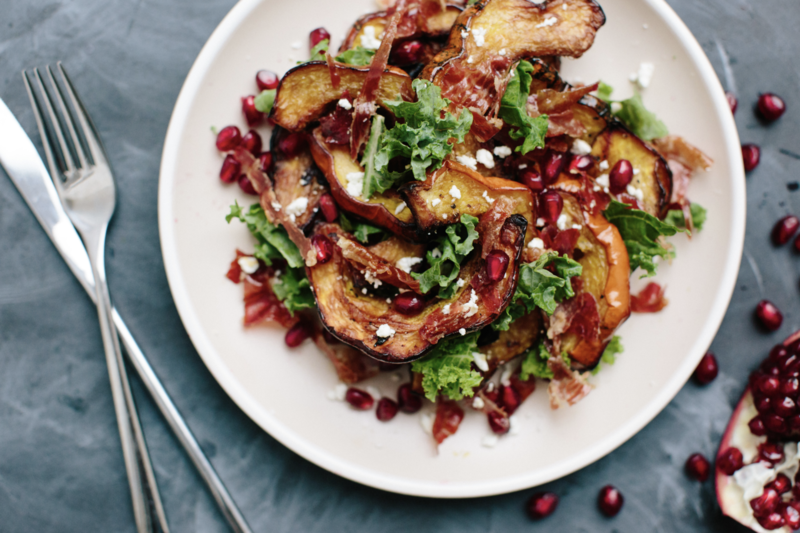 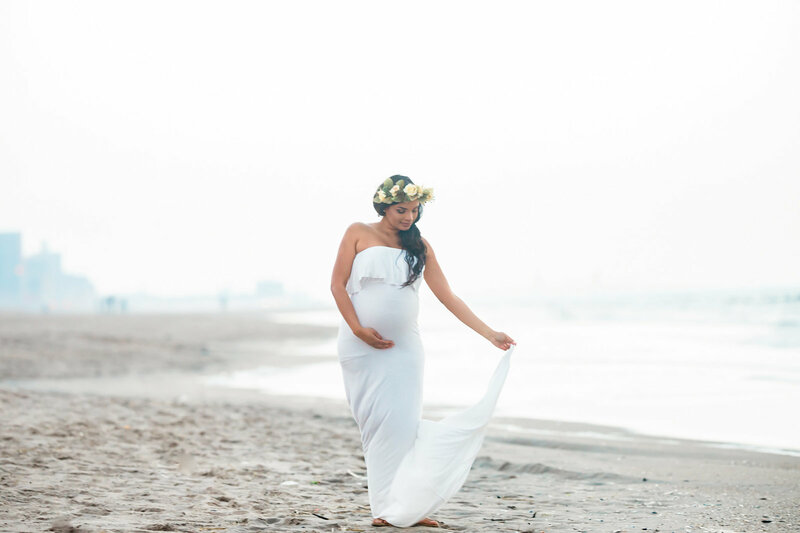 This includes your general vision, location ideas, color schemes, photograph textures, and date/time of shoot. 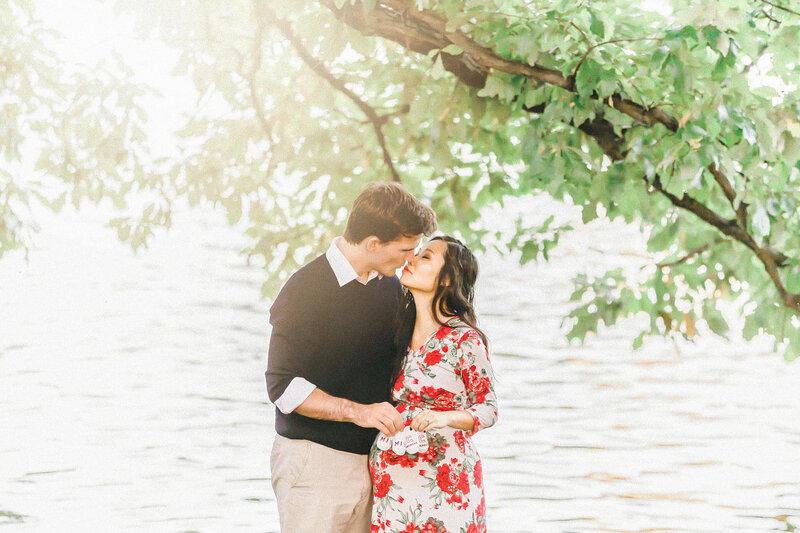 If the shoot is outdoors, a backup date/time may be needed in case of unideal weather. 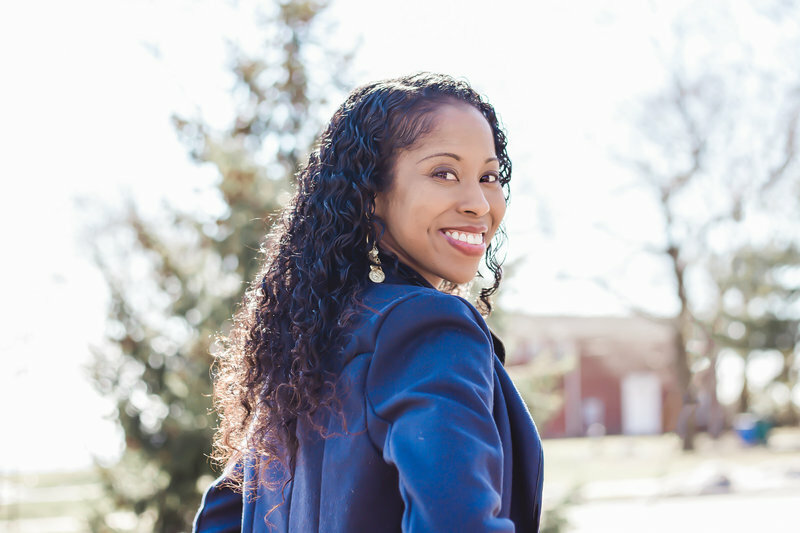 Additionally, this meeting can occur either in-person or via videoconferencing. 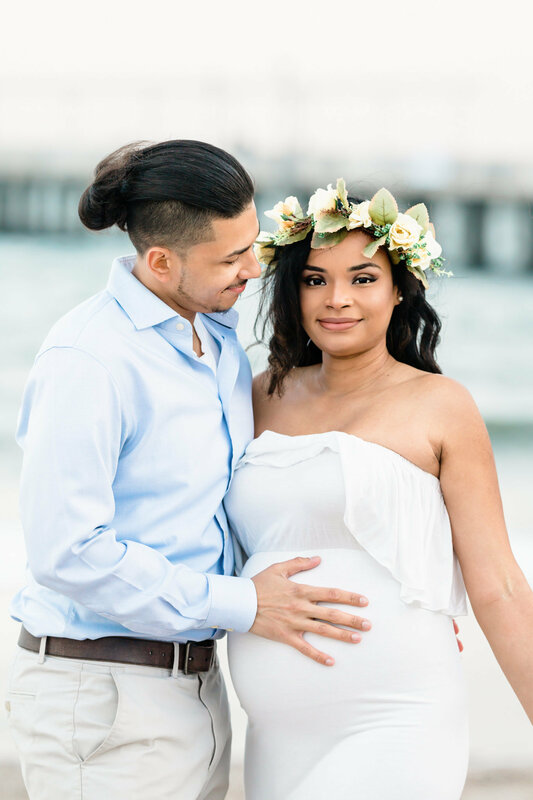 The platforms I currently use are FaceTime, Google Hangout, and Skype. 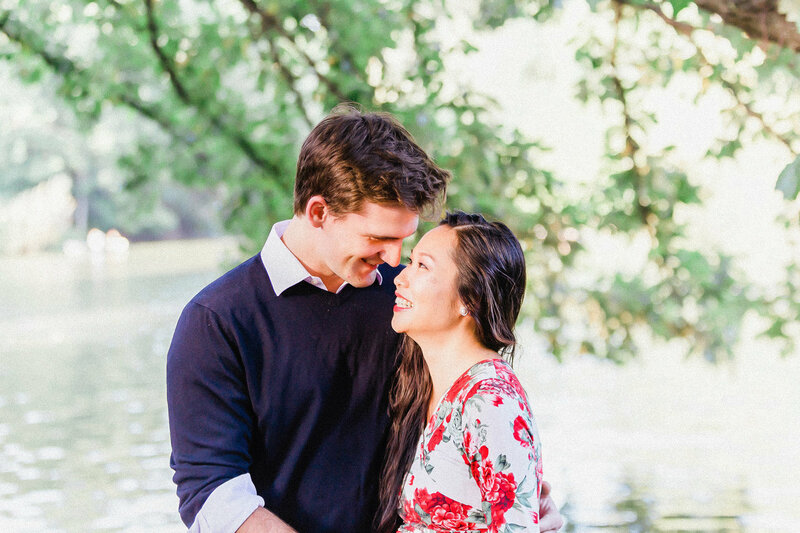 Any option works for me. 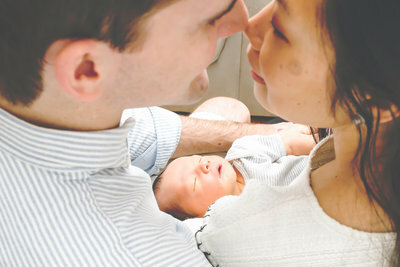 The day has arrived to take pictures that you will remember as the beginning days of your child's life. 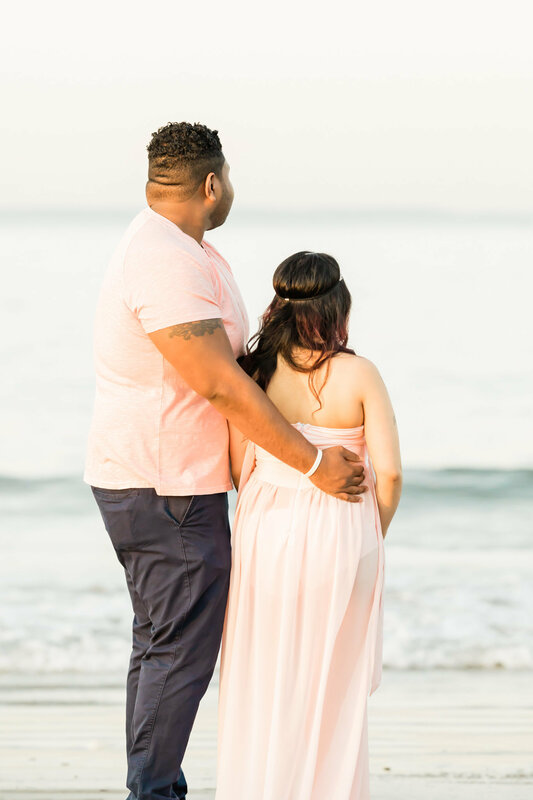 We will meet at your desired location, review our plan for the shoot, and scout out some unique on-site locations. 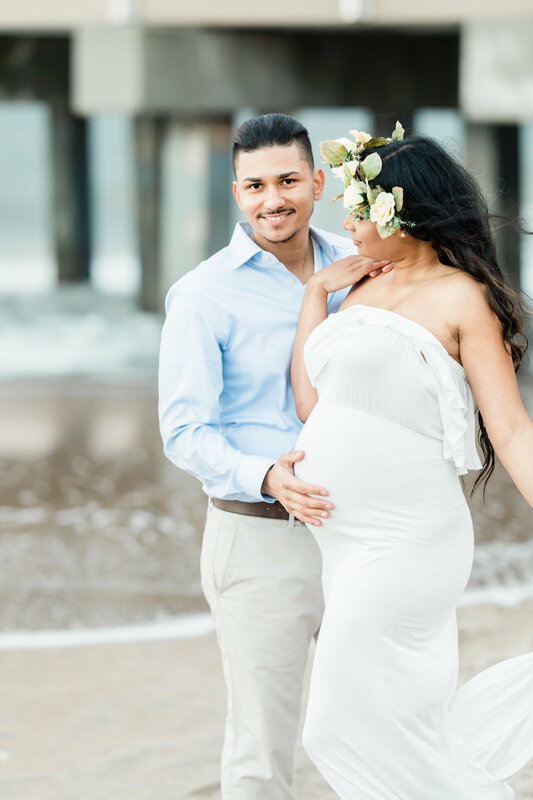 After we settle on the locations, you can change if necessary while I setup my equipment. 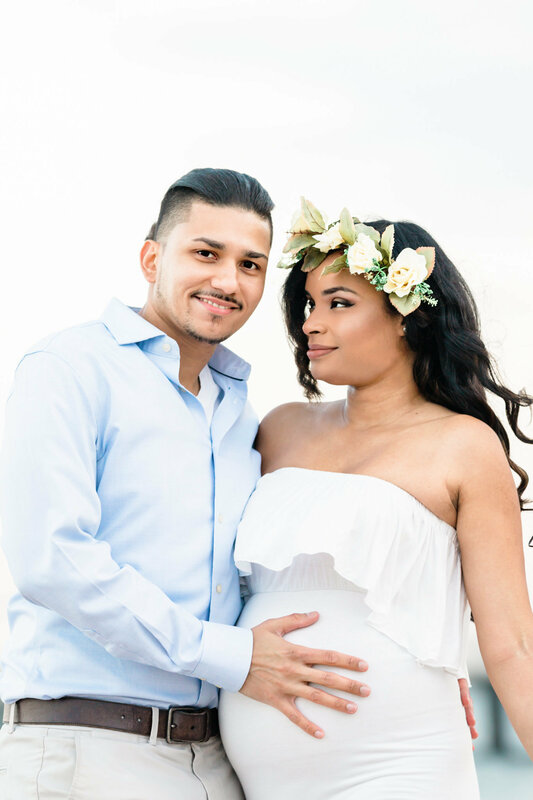 Within a short time, your photo session has begun and you will truly feel special. 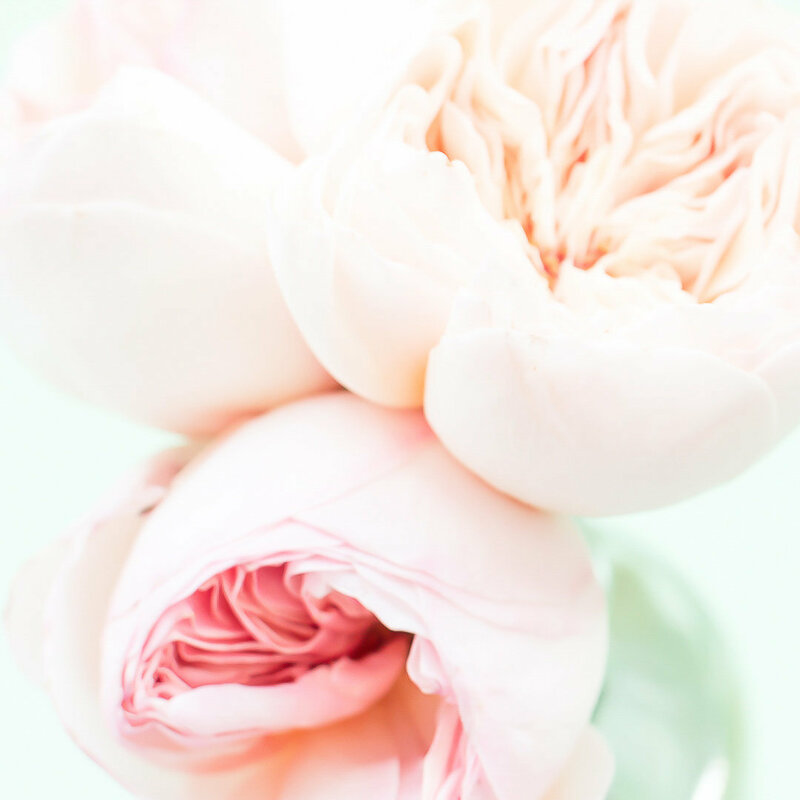 When we are satisfied with the work, we are done. 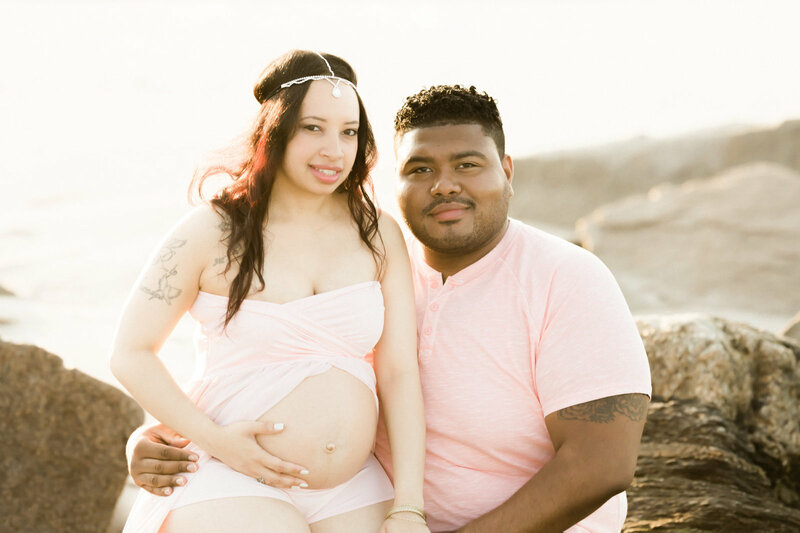 Next time we meet your pictures will be complete! 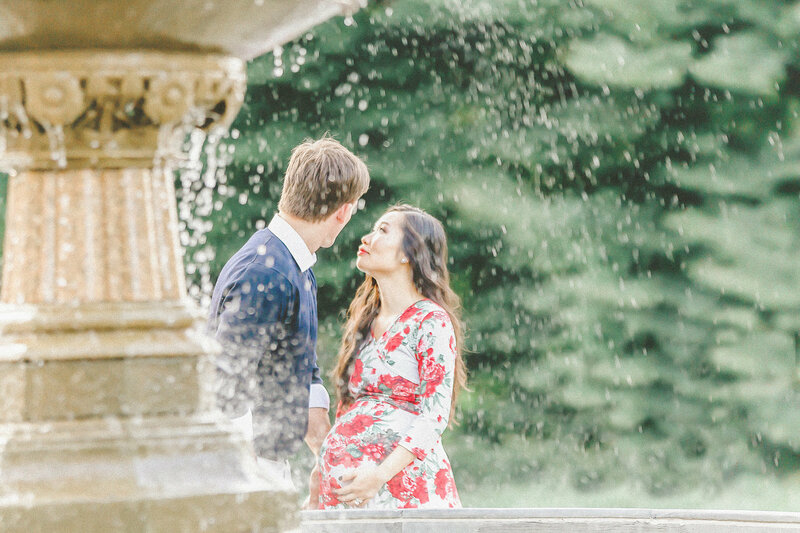 This is my favorite part. 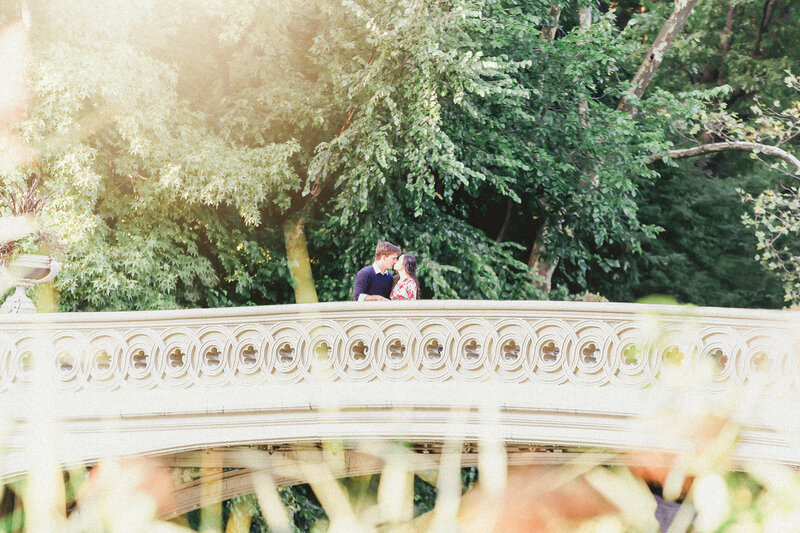 After all the planning and execution is over, we will look through your photos together and see the beautiful you. 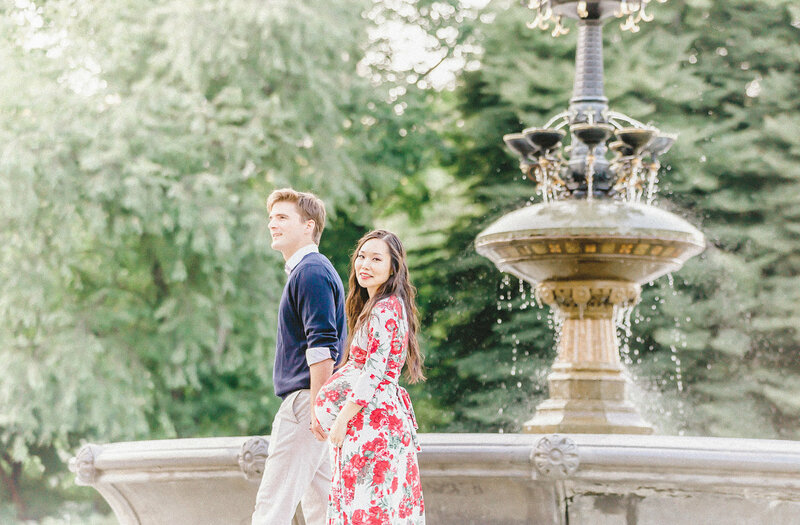 Now, I prefer to view these pictures together in-person if possible, but we can also look at them together during a video conference call. 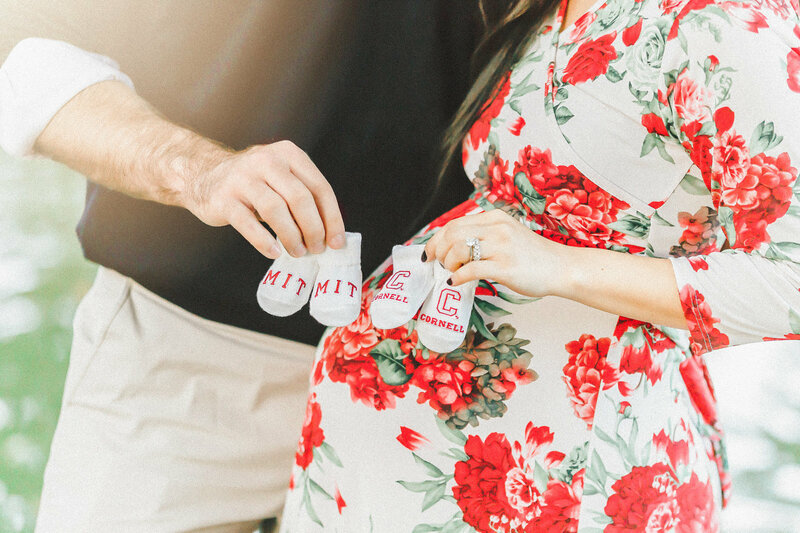 Convenience is the name of the game later in the pregnancy. 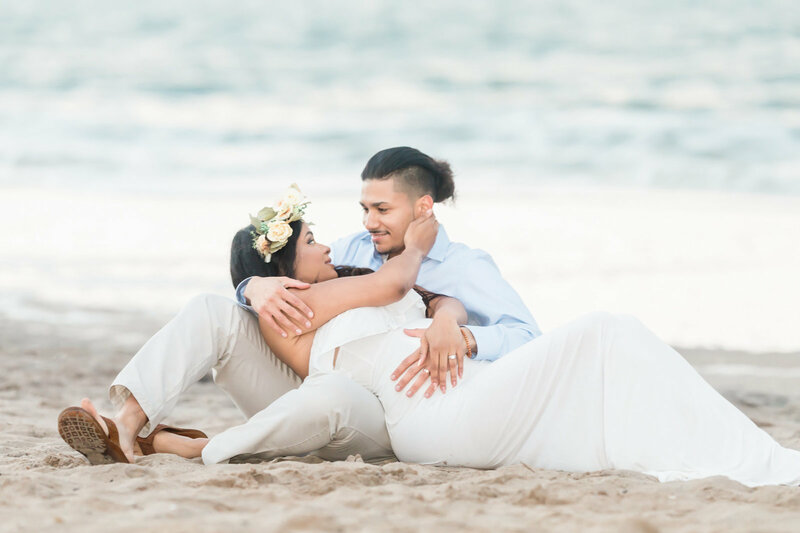 During this step, you can see options of presenting your images in professional photo albums or a wide array of wall art. 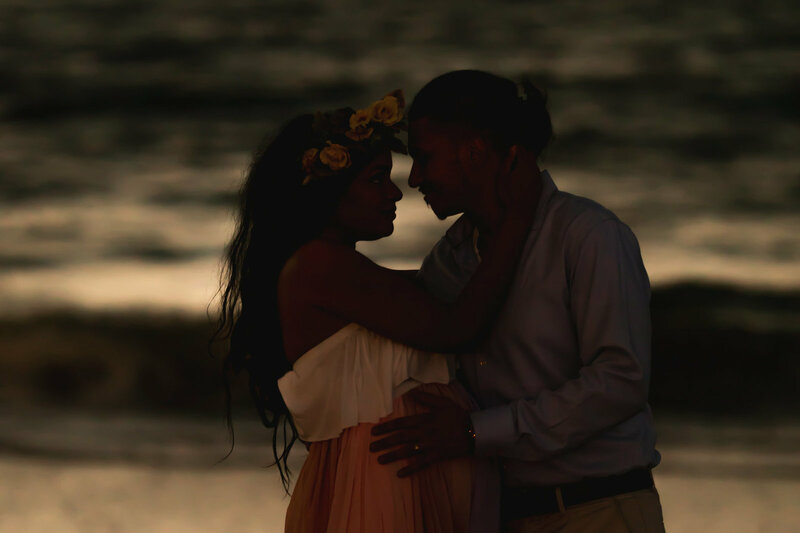 One of the most challenging times for expectant mothers can be a miscarriage. 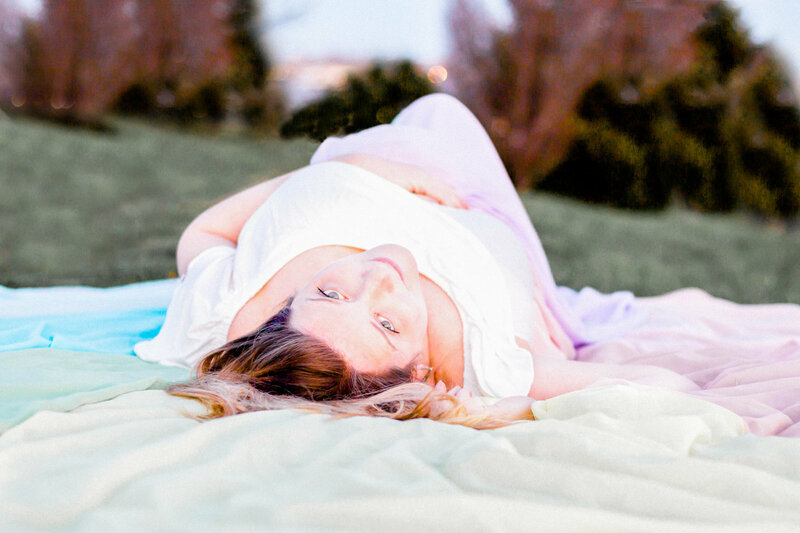 Women around the world go through this experience daily and yet that commonality does not make the despair and sadness lessen. 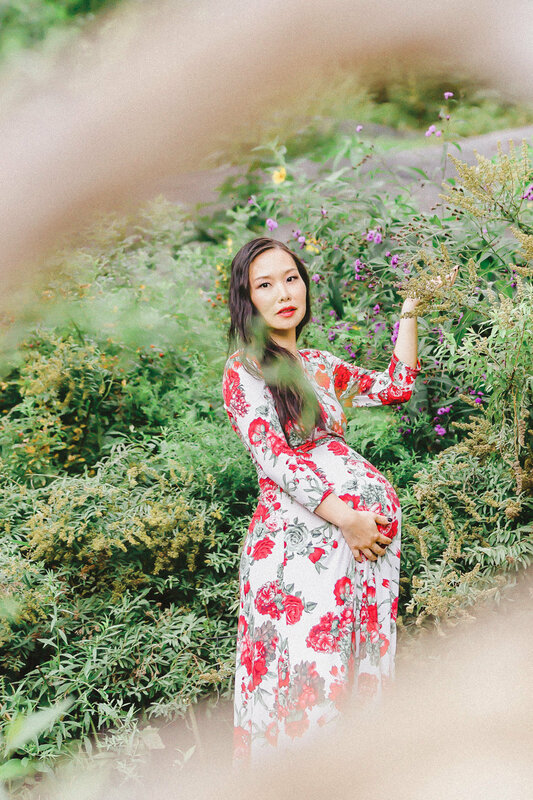 If we are lucky, though, we may sometimes find in those trying times the absolute joy of discovery that we are expecting once again. 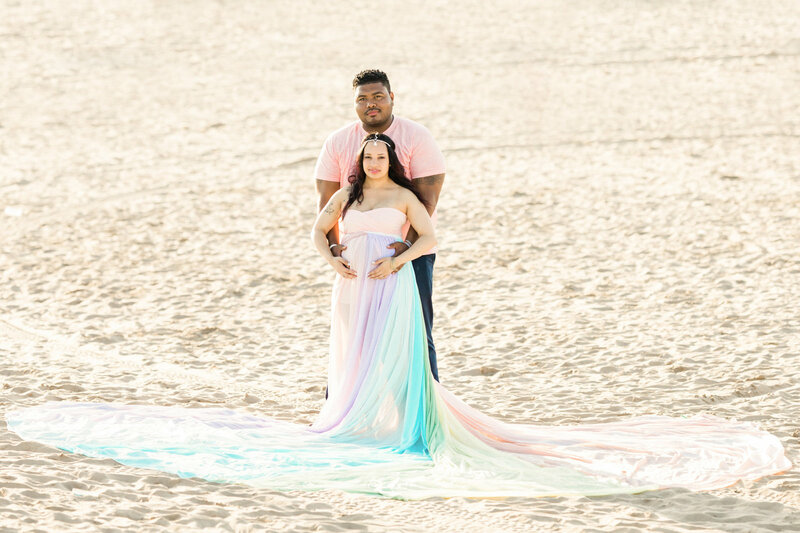 A pregnancy after the loss of one child followed by the gift another is nothing short of a miracle and these little blessings have taken the name of Rainbow Babies. 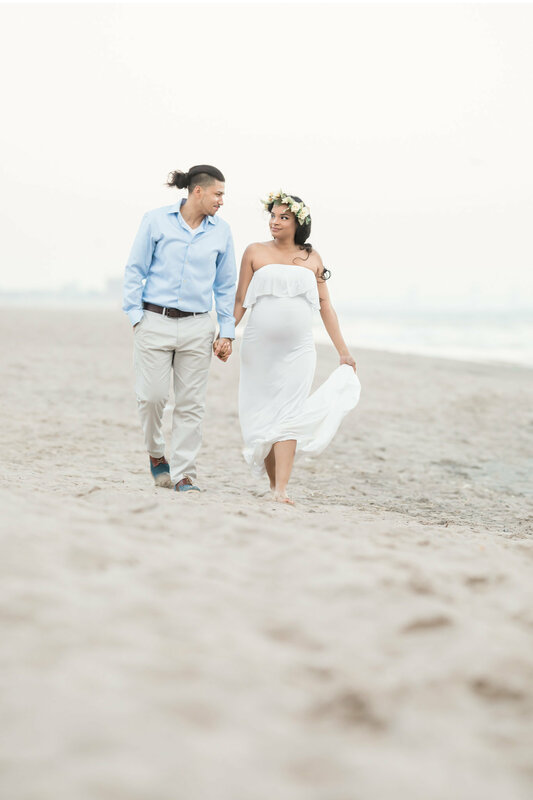 They represent the joy and vibrancy of life after the storm. 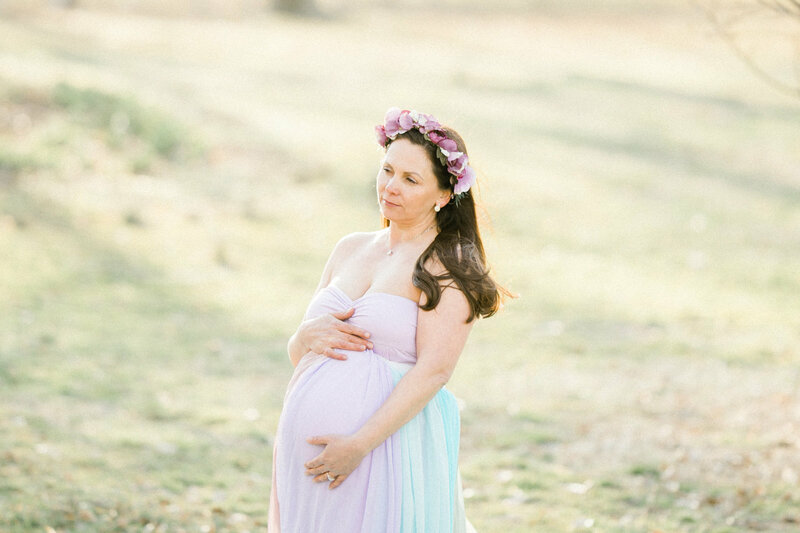 To those women that have gone through the loss of a child during pregnancy, do not give up hope. 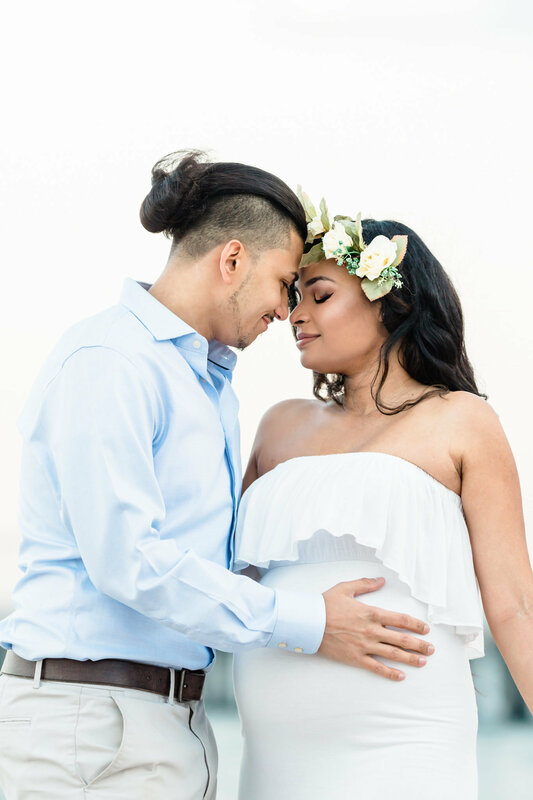 Whether you receive the love and adoration of a child through marriage, adoption, or one you birth on your own, please know that you may be destined to be a mother one day. 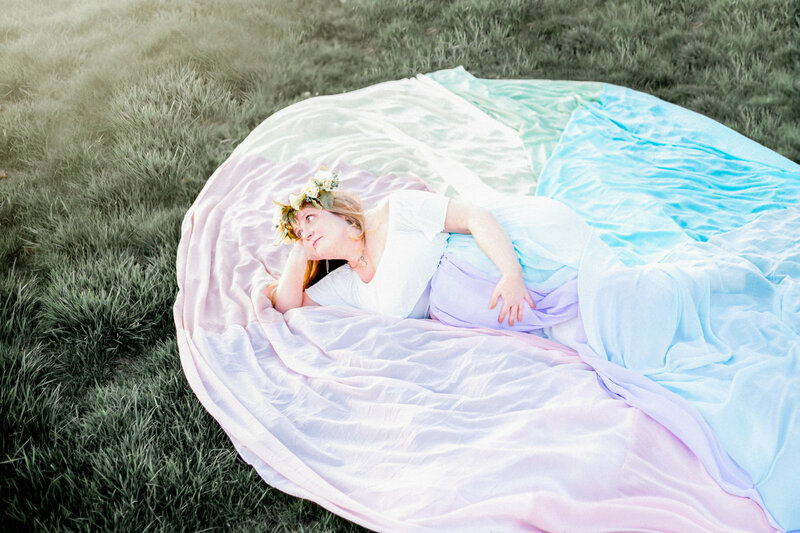 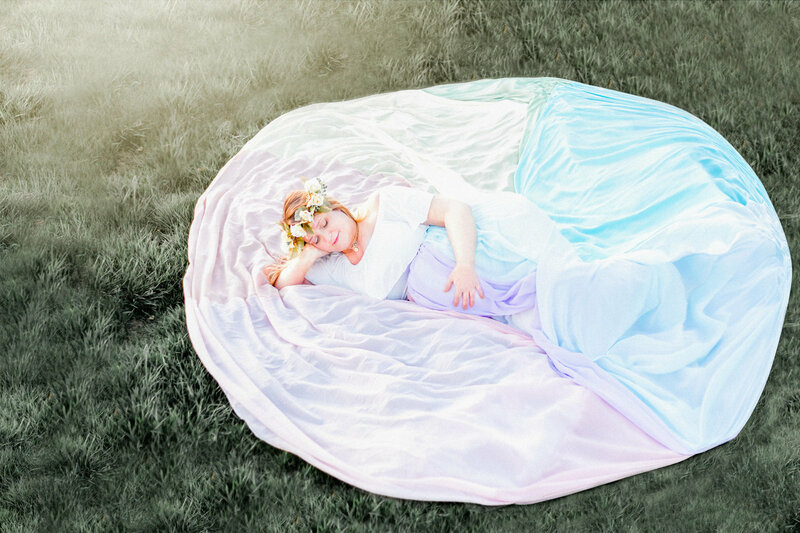 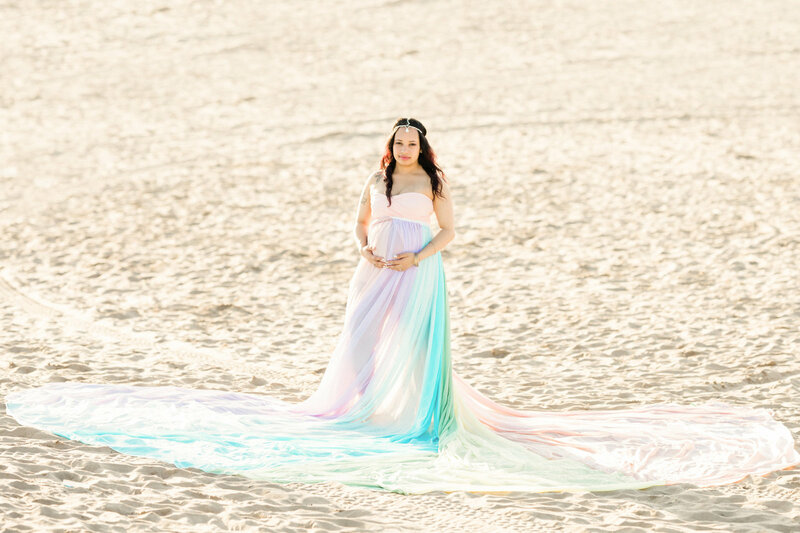 For those fortunate enough to have a Rainbow Baby, I have developed a very special photo session for you which you can see below in the maternity galleries. 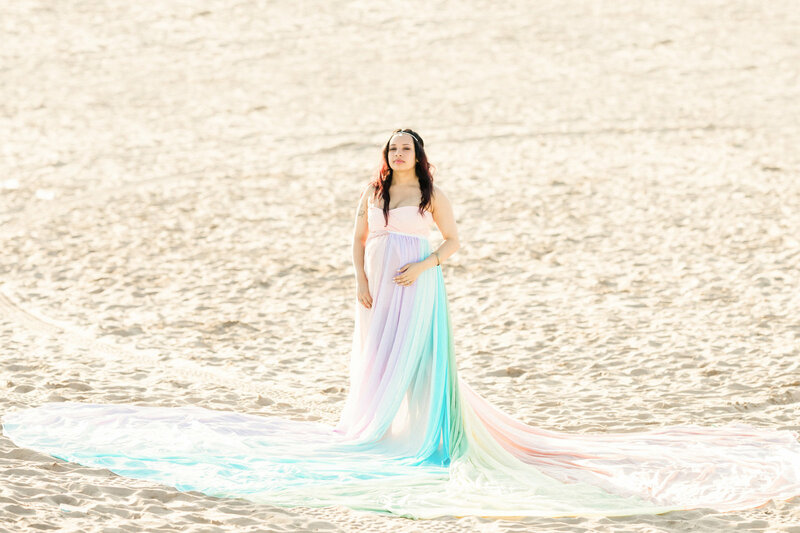 Please let me know if you would also like to be filmed in a rainbow ensemble to demonstrate the love you feel towards your child. 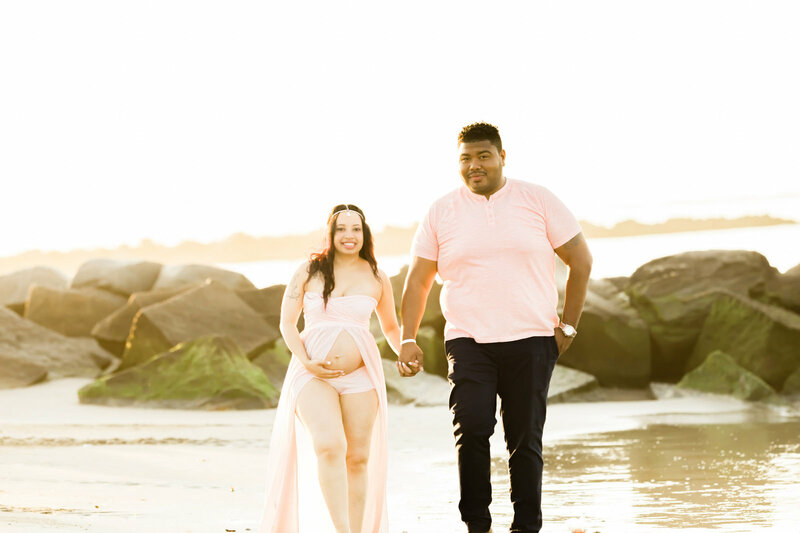 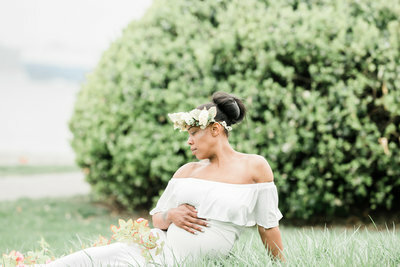 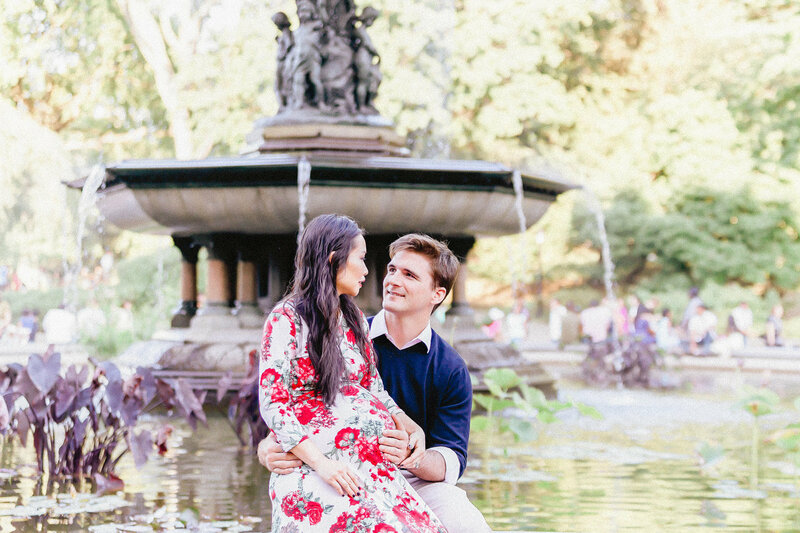 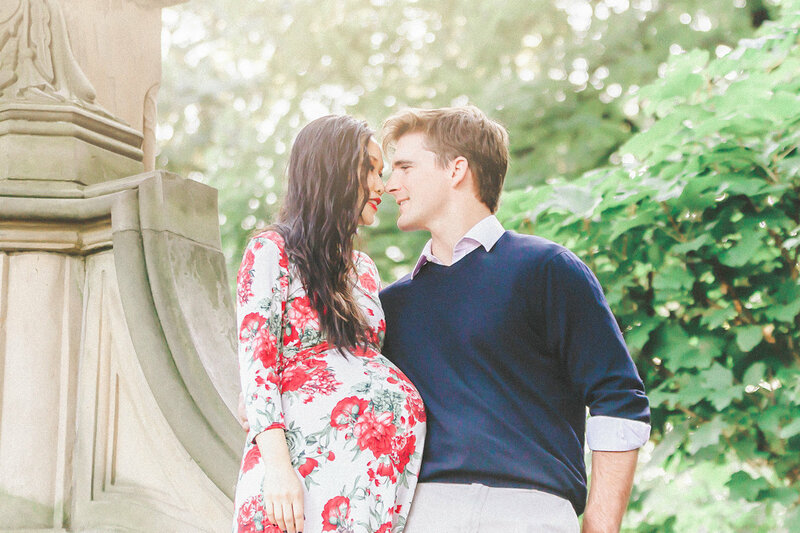 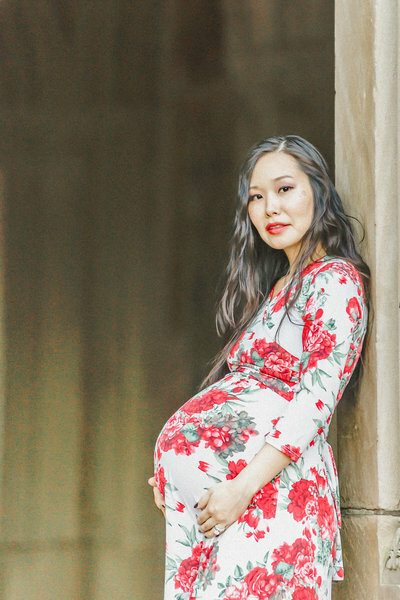 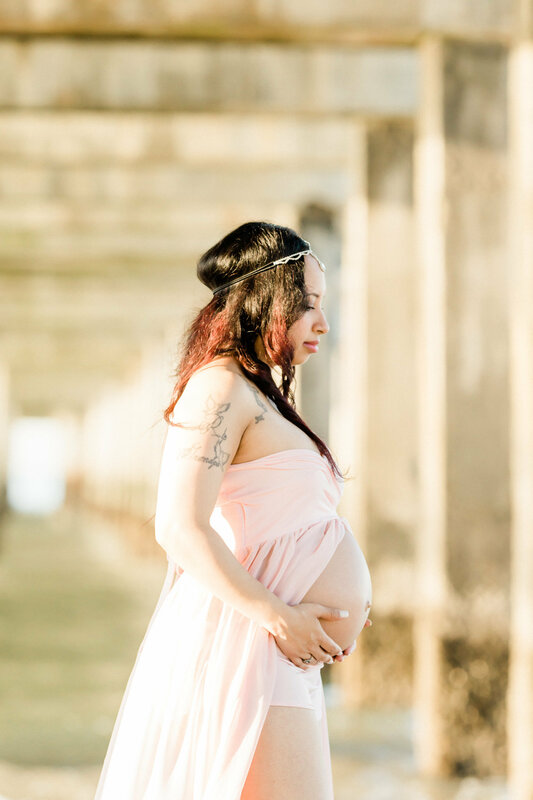 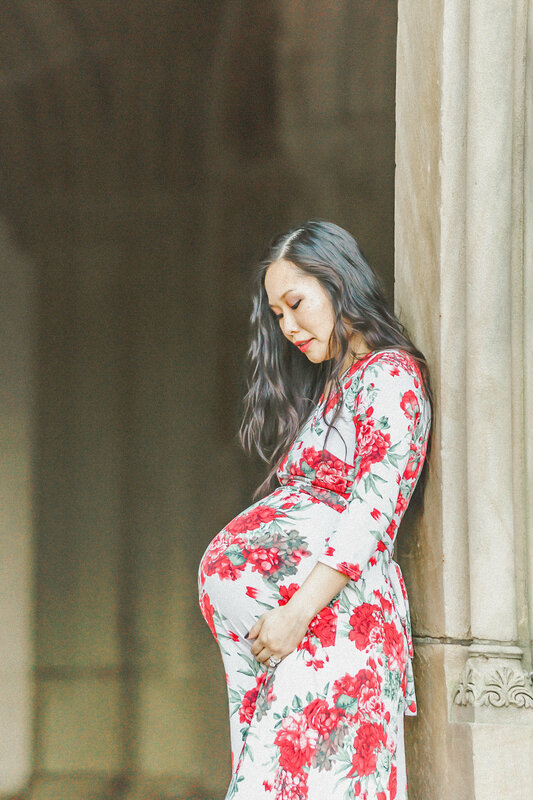 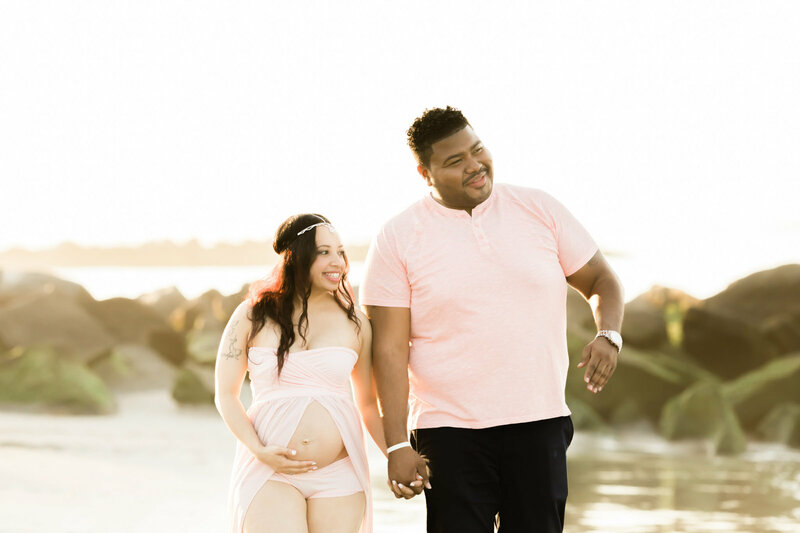 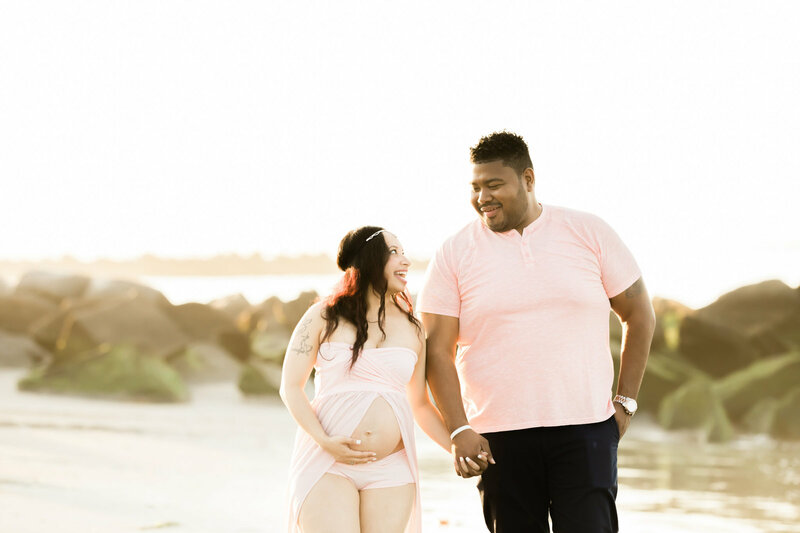 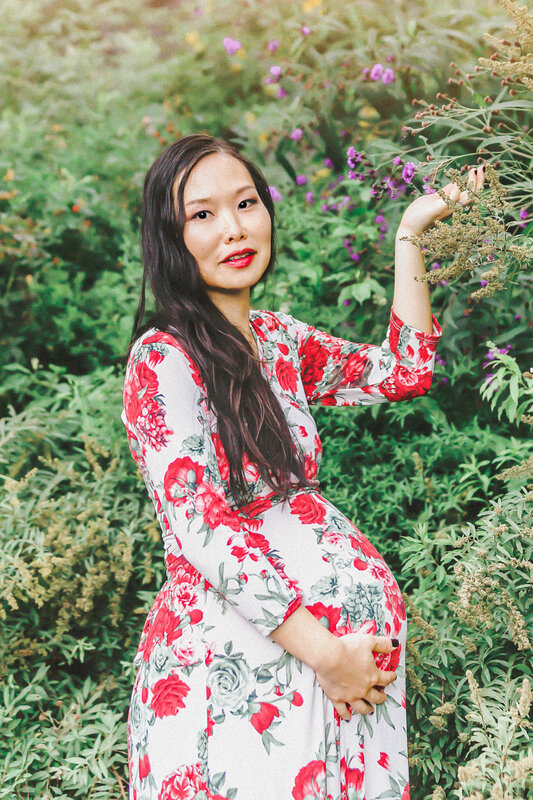 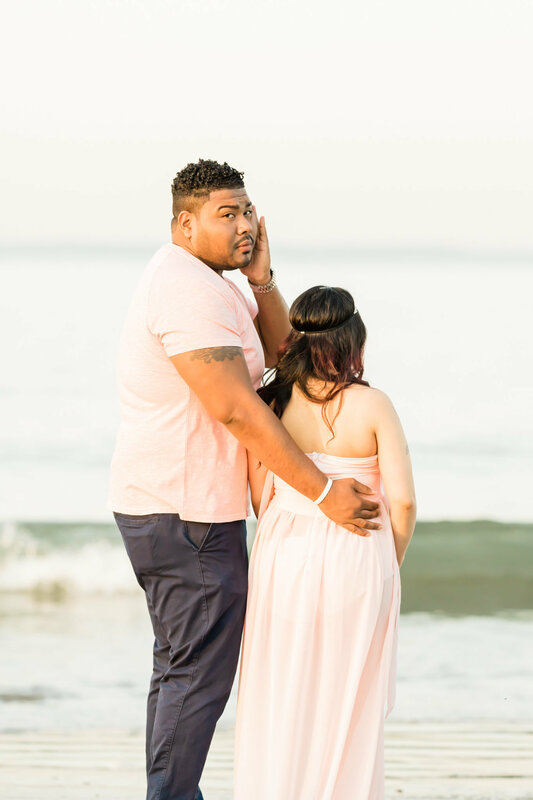 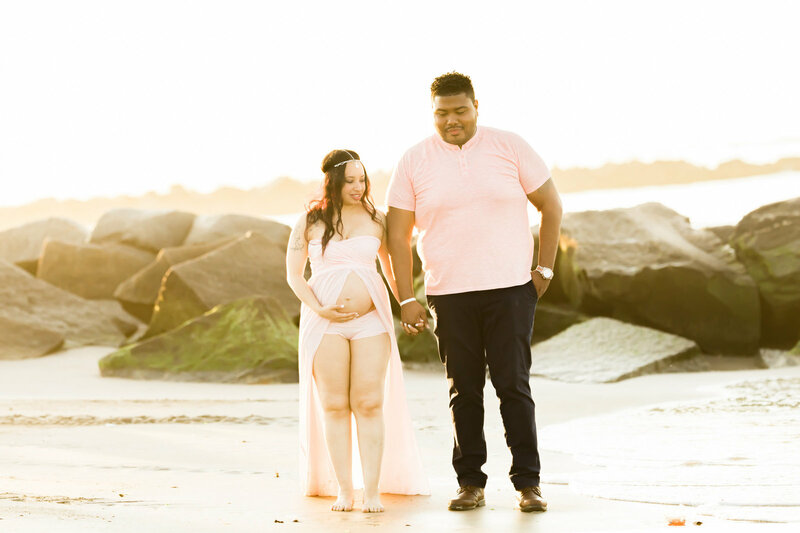 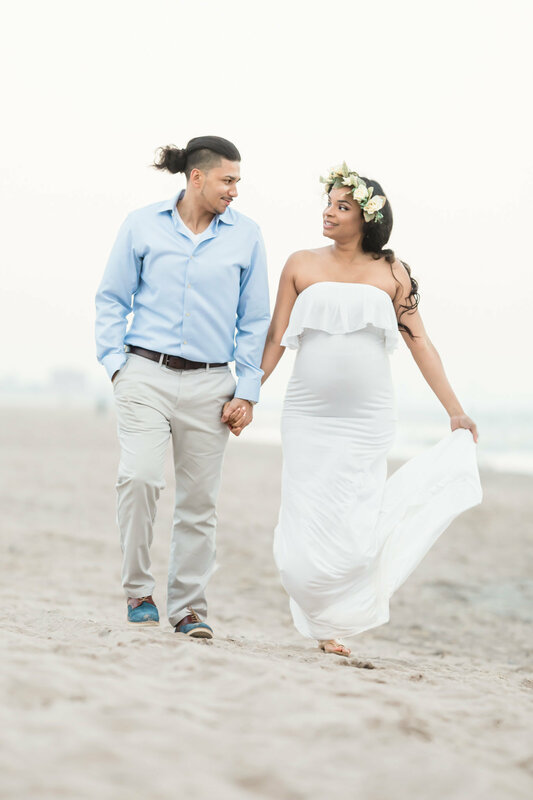 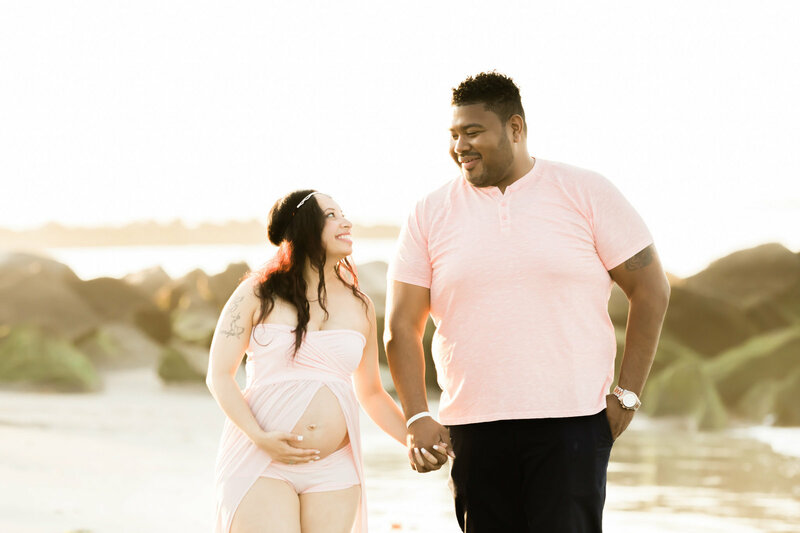 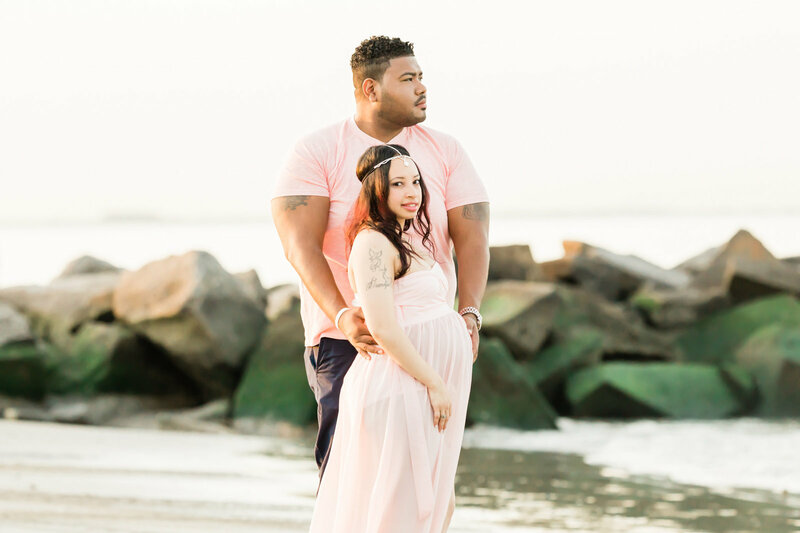 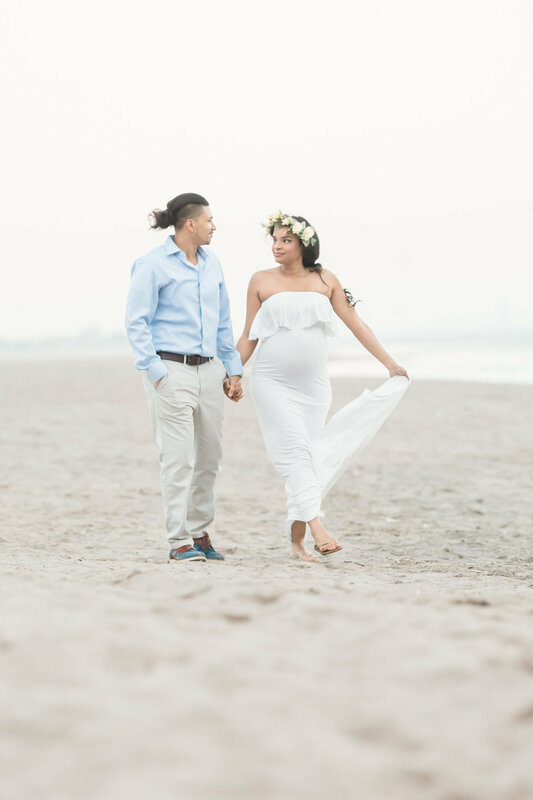 I offer customized maternity photography sessions, which typically occur during the second and third trimesters of pregnancy, while striving to be one of the top maternity photographers in NYC. 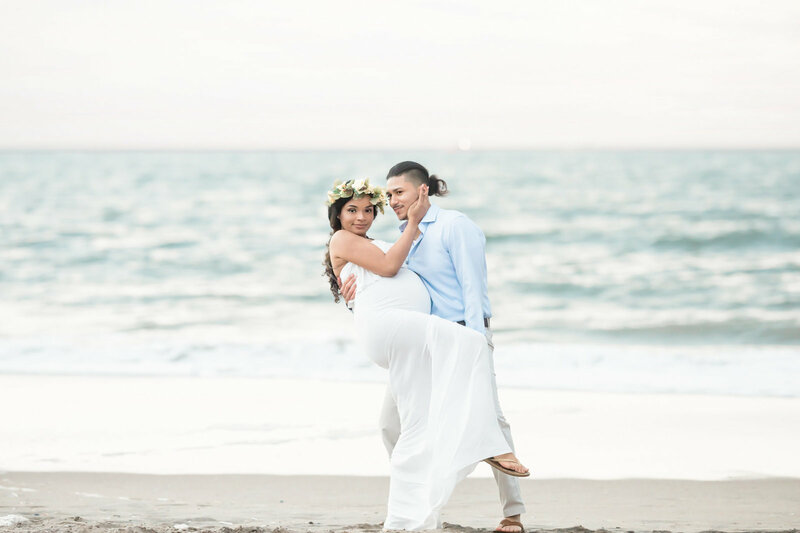 I base my pricing off of the years of experience in this focused area of photography. 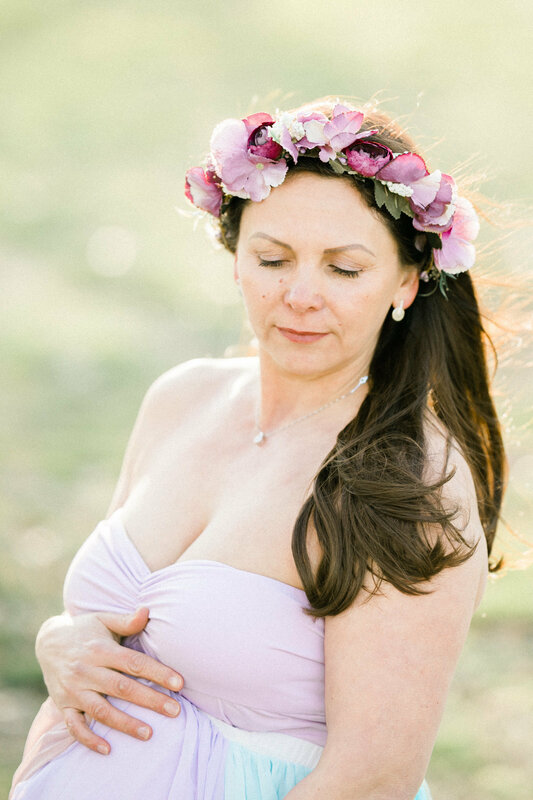 I also strive to be compassionate and offer affordable rates preventing you from leaving your pictures in the hands of an amateur. 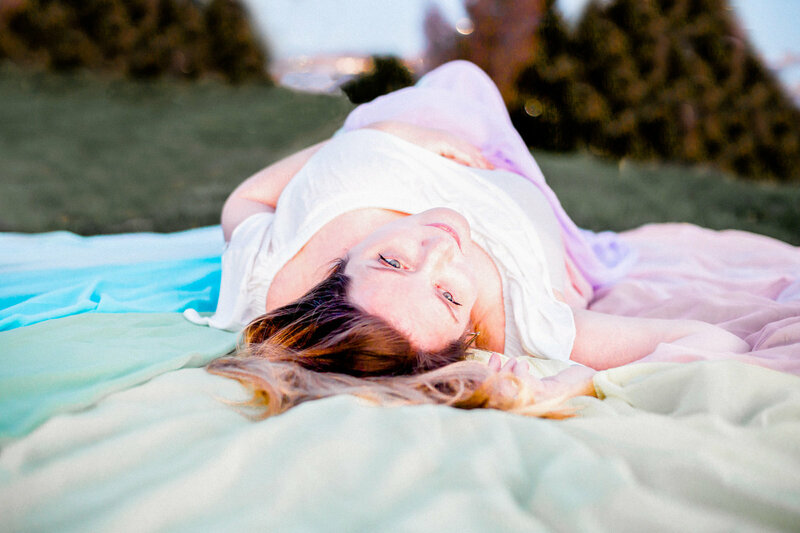 My pricing starts at $1,500 per session including planning and photo editing. 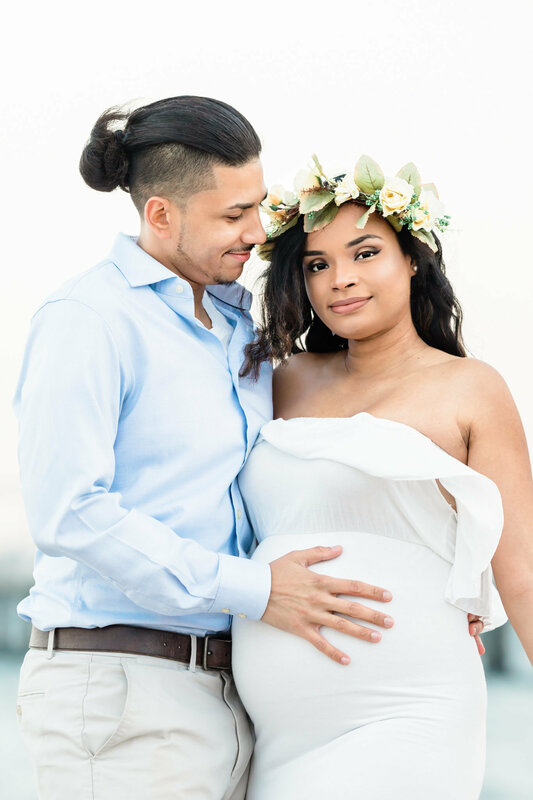 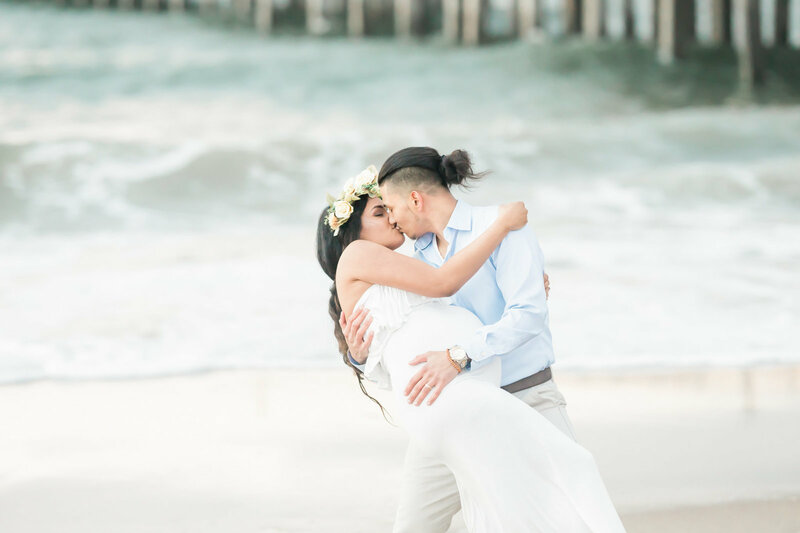 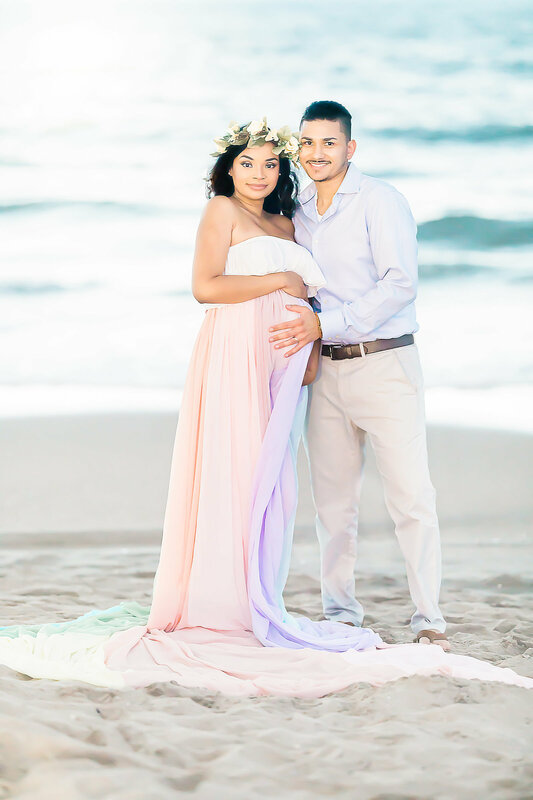 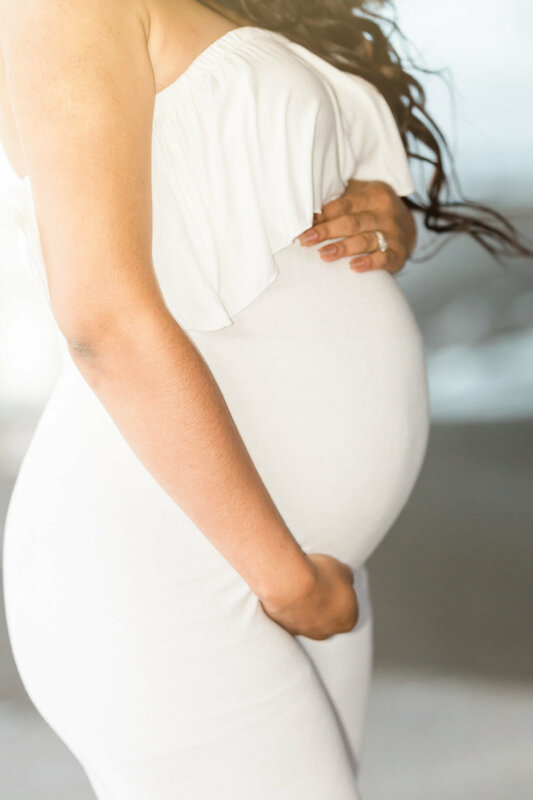 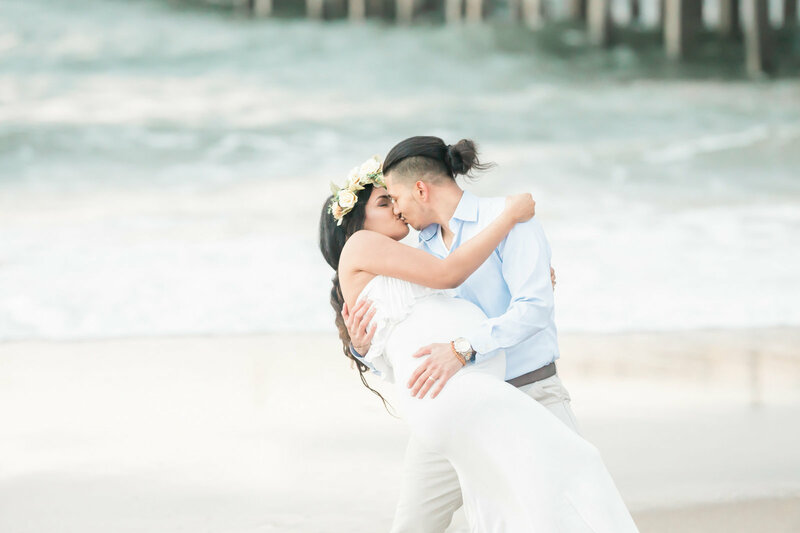 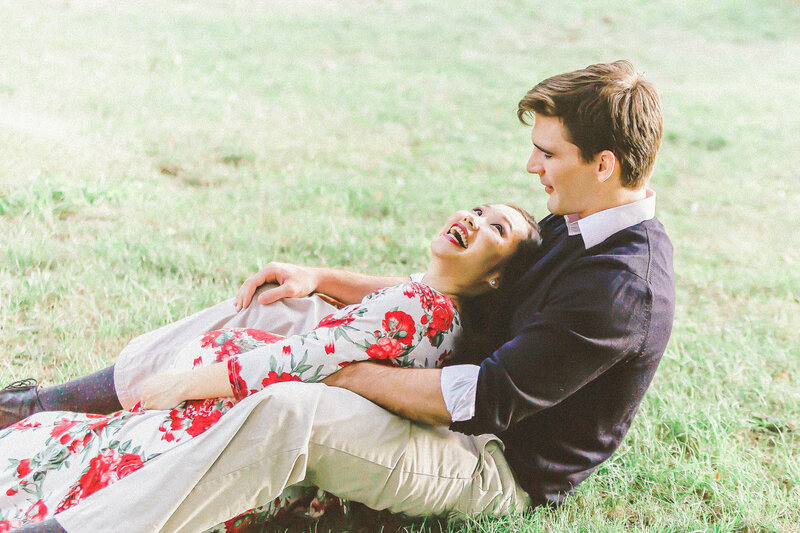 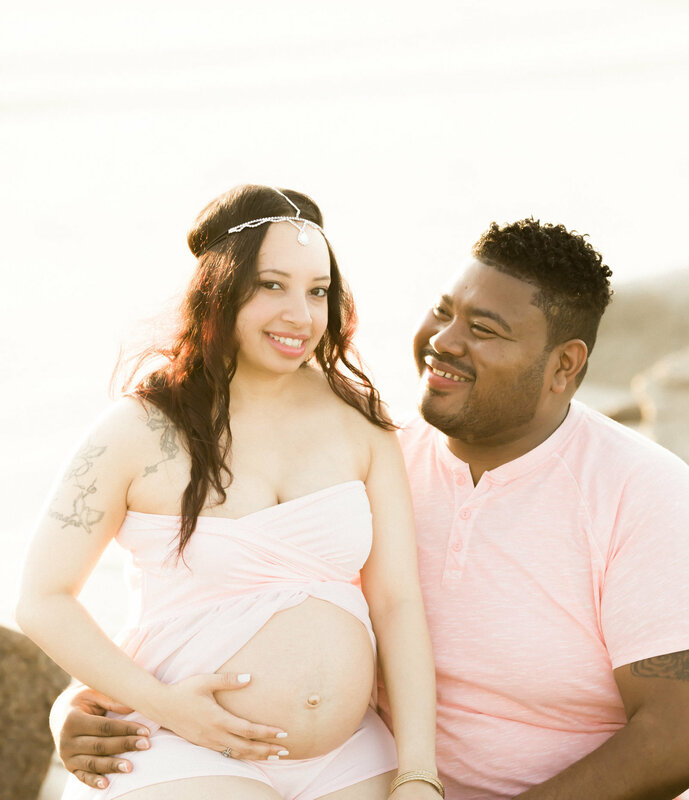 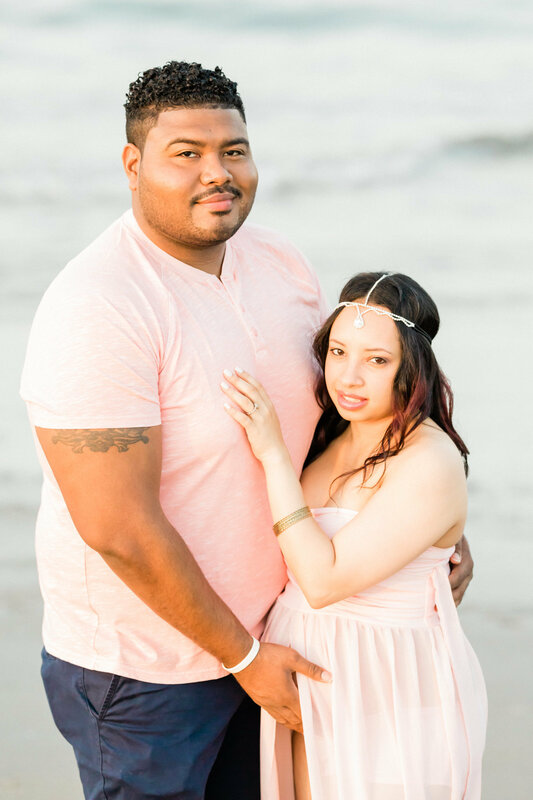 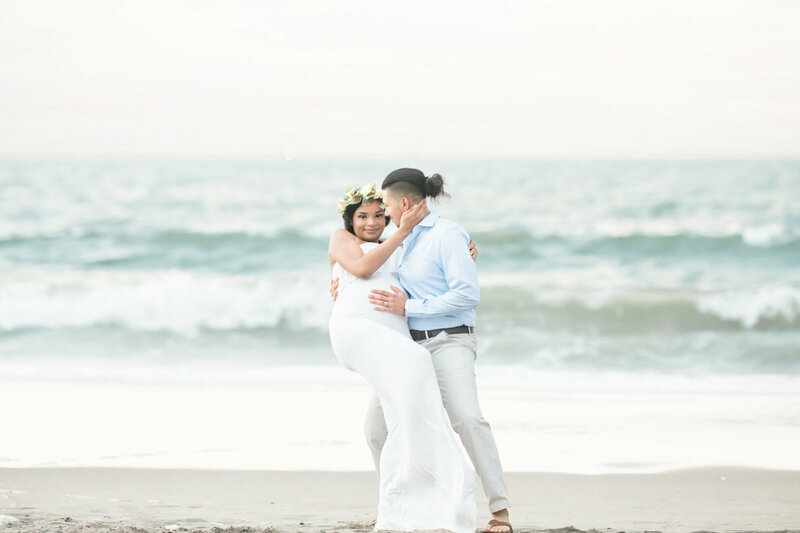 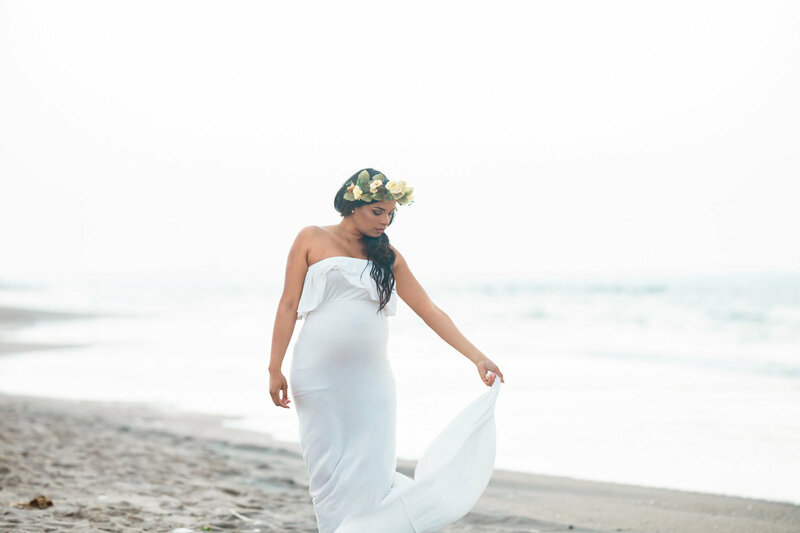 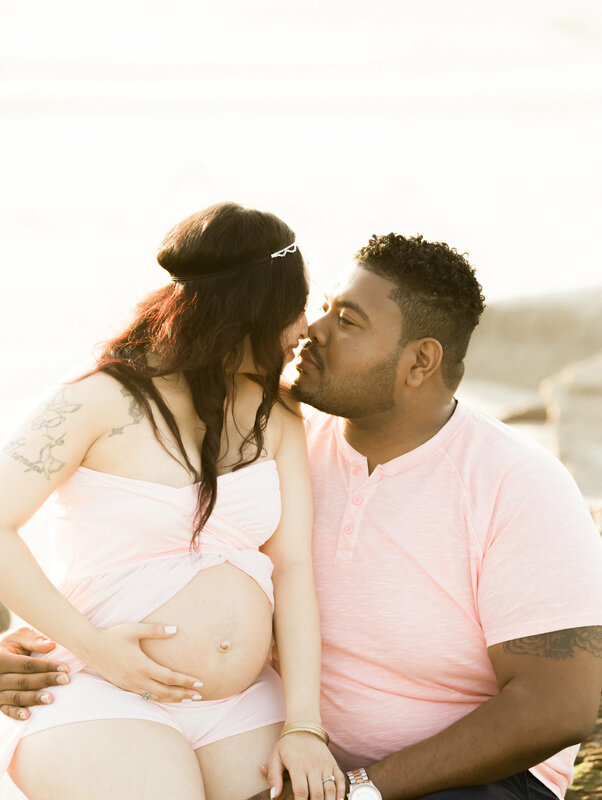 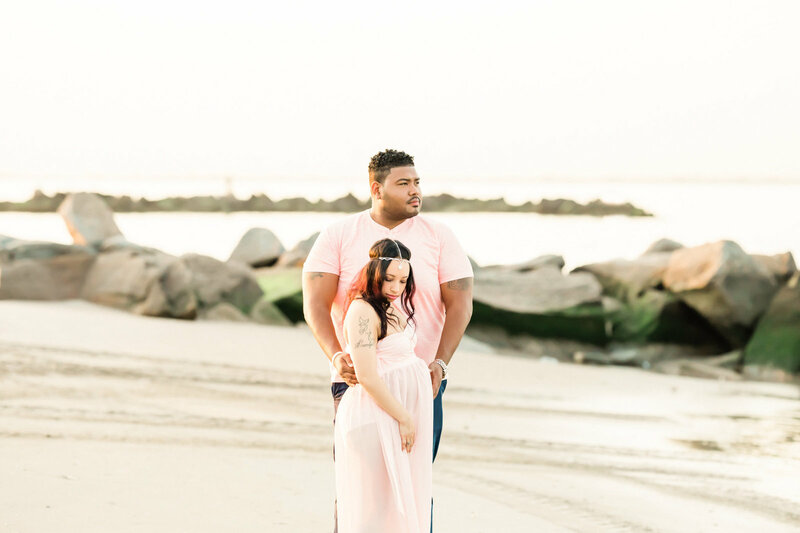 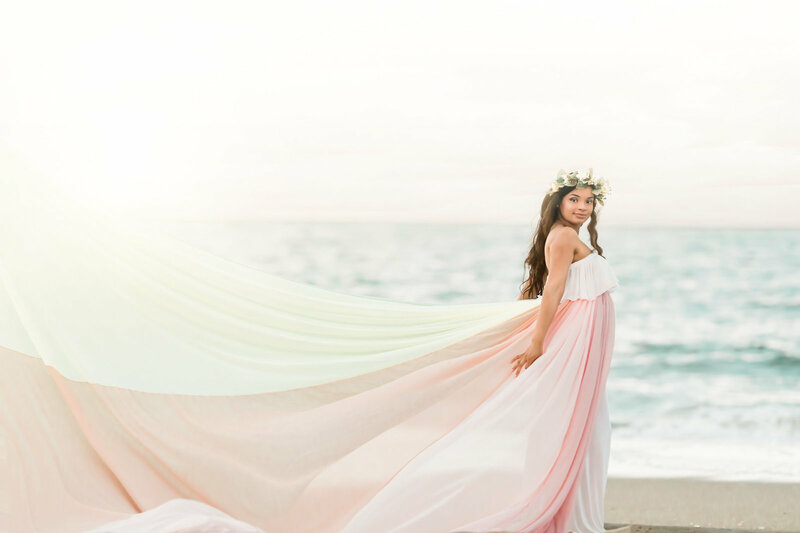 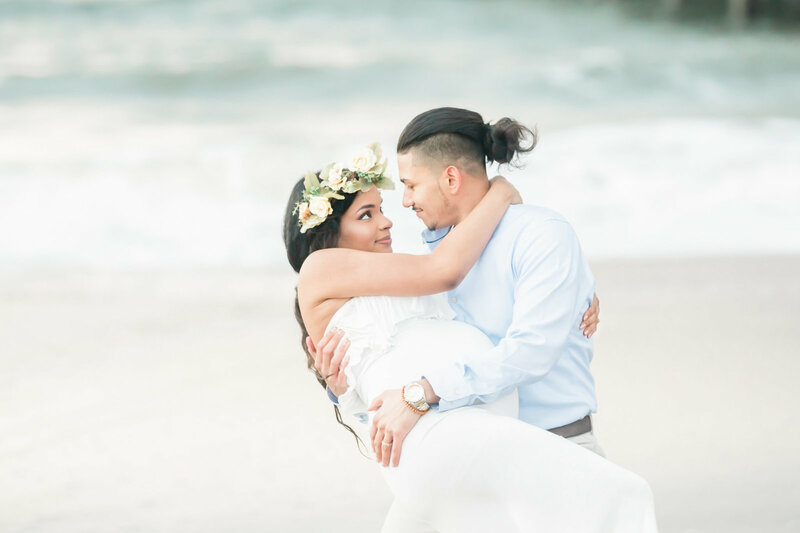 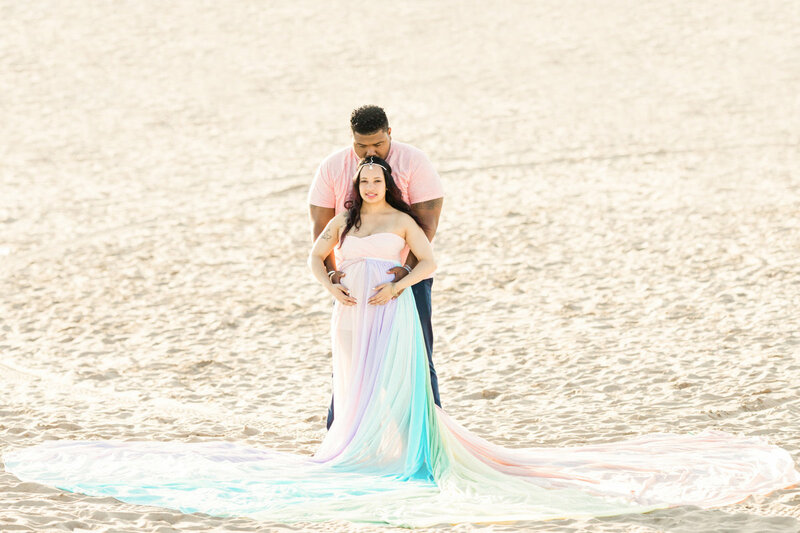 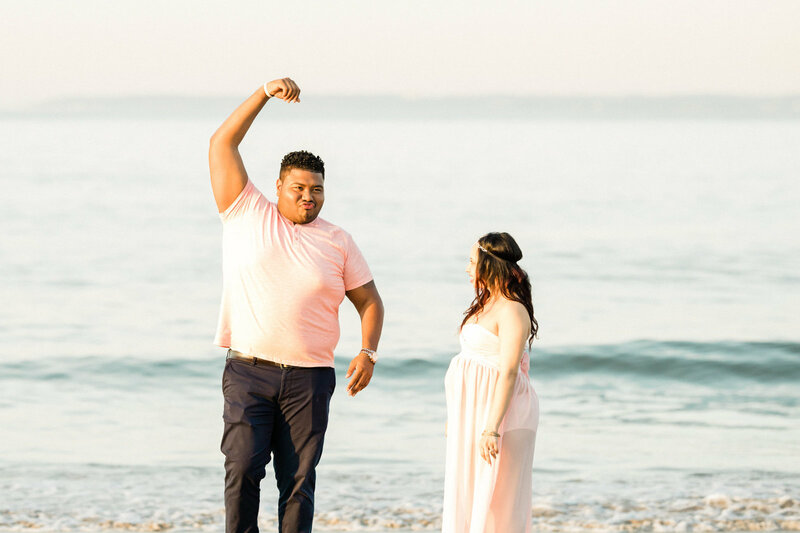 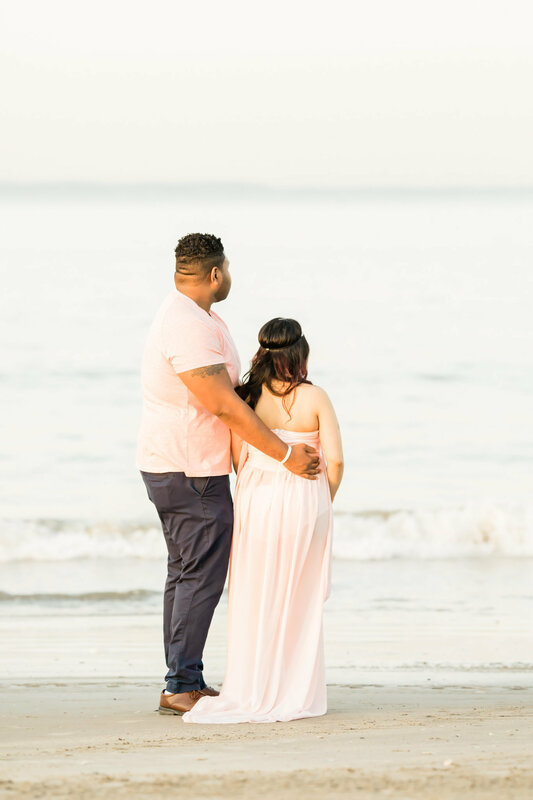 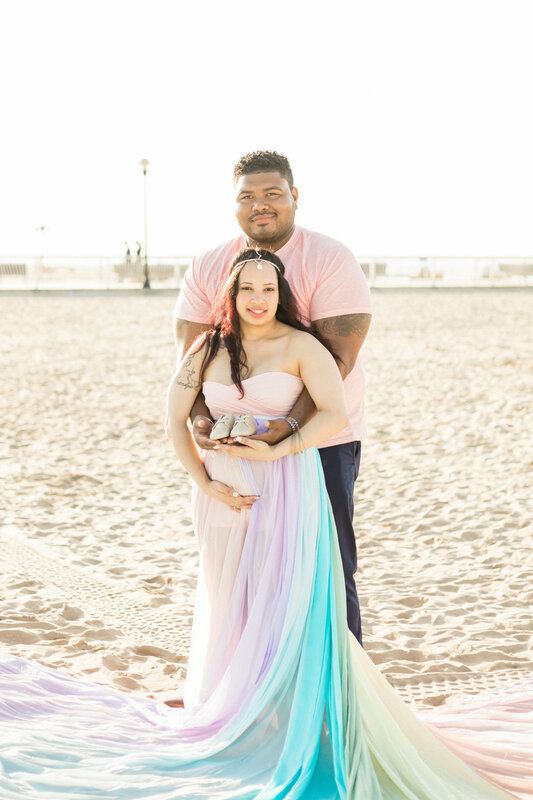 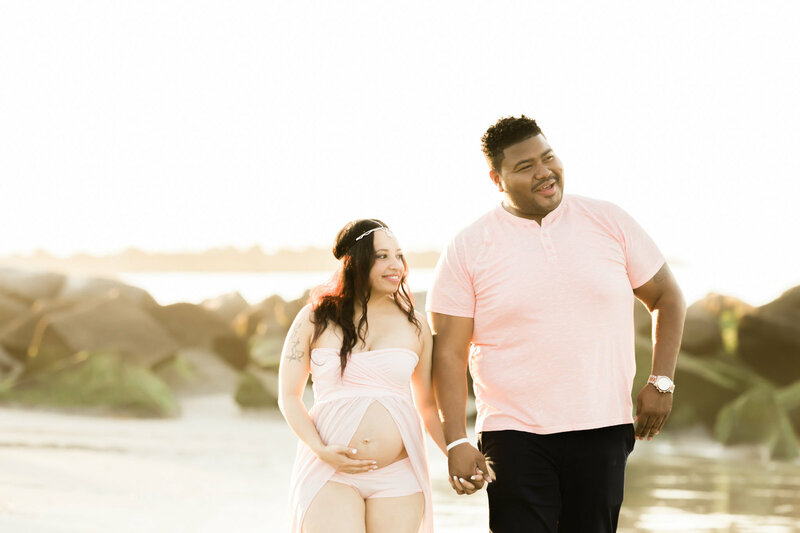 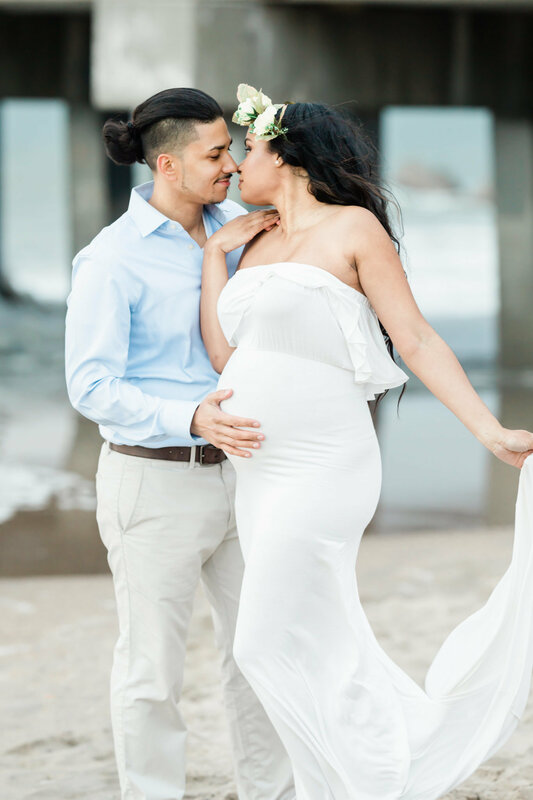 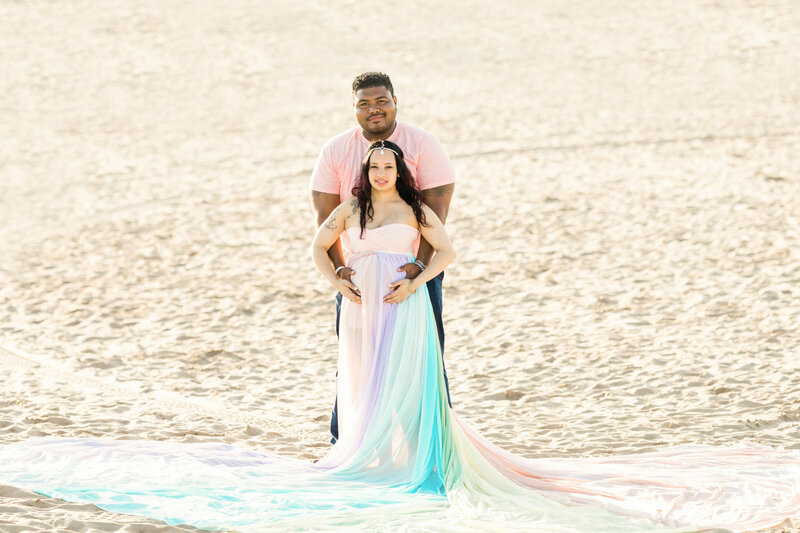 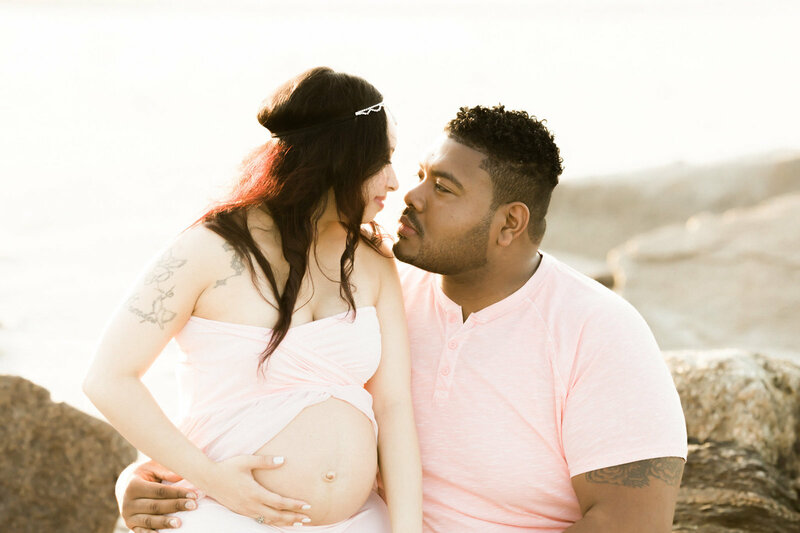 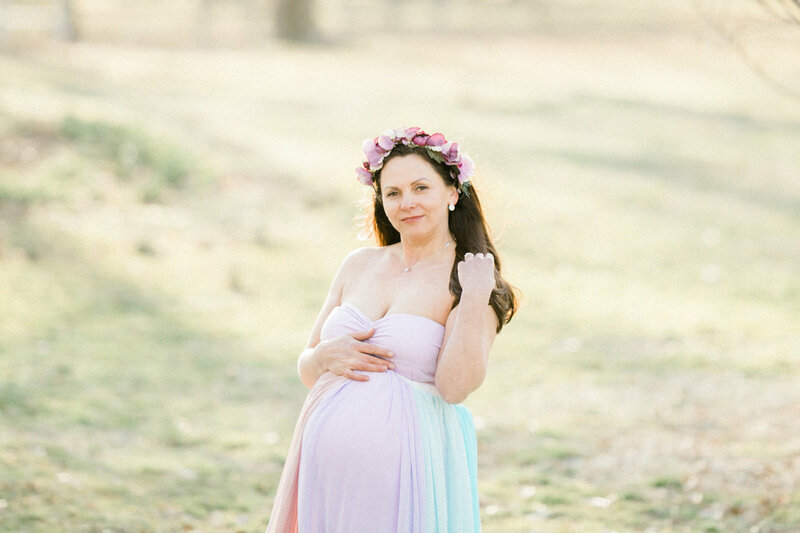 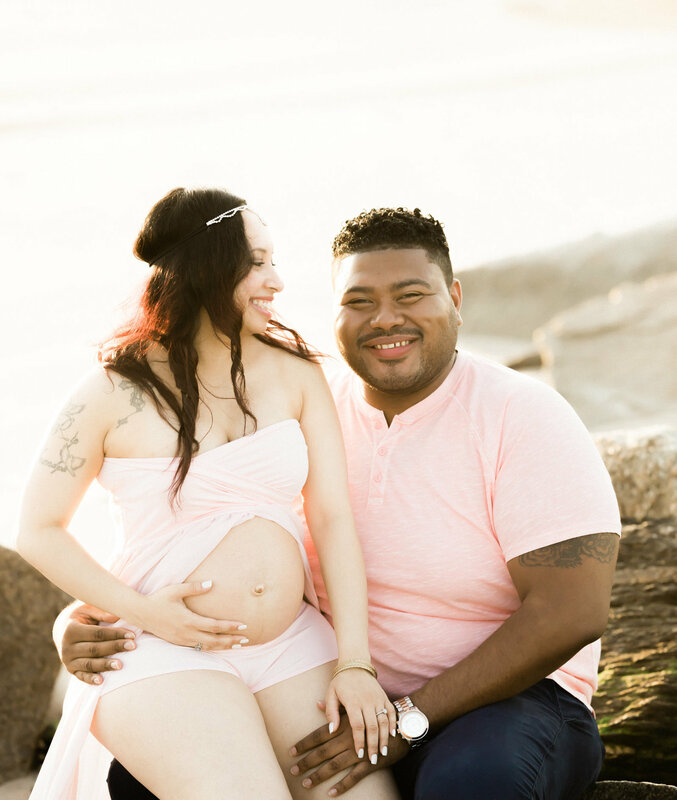 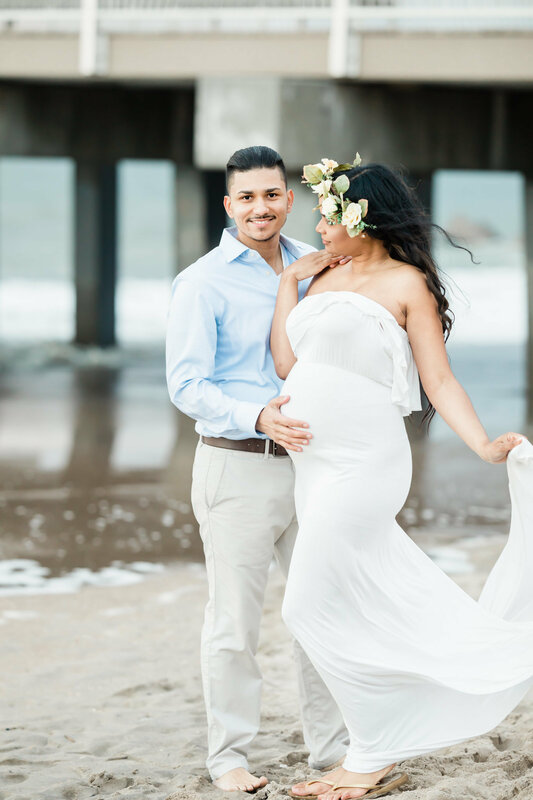 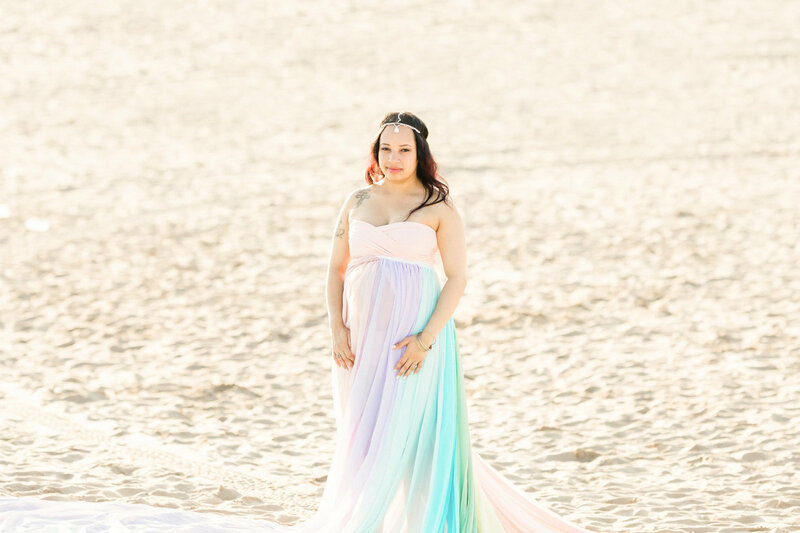 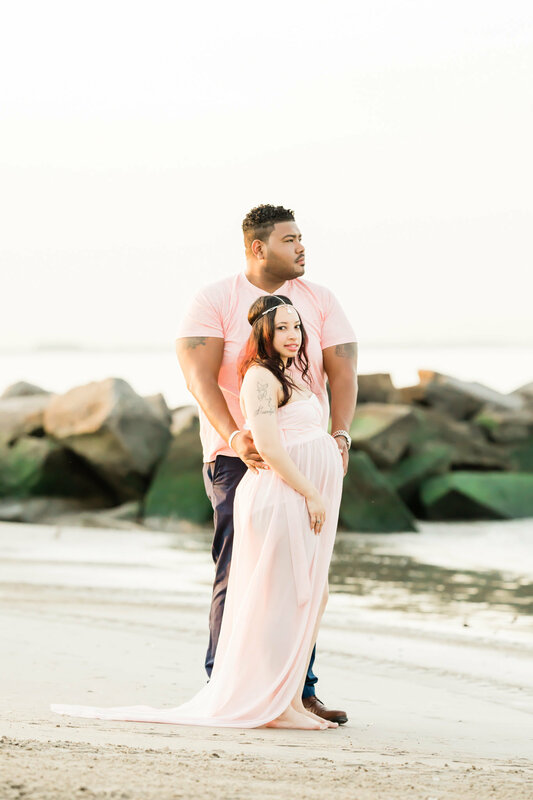 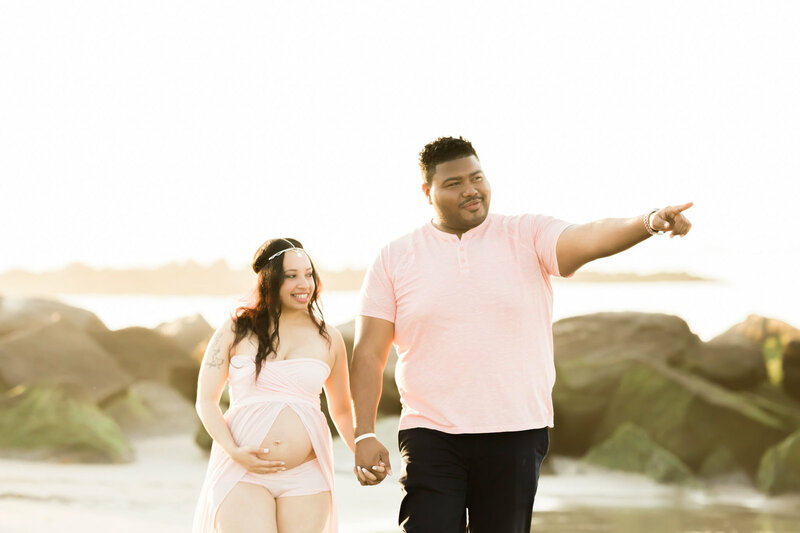 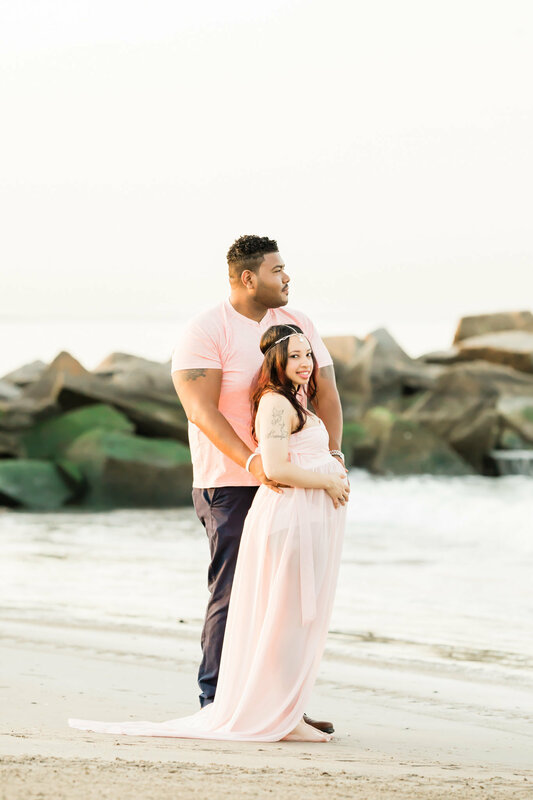 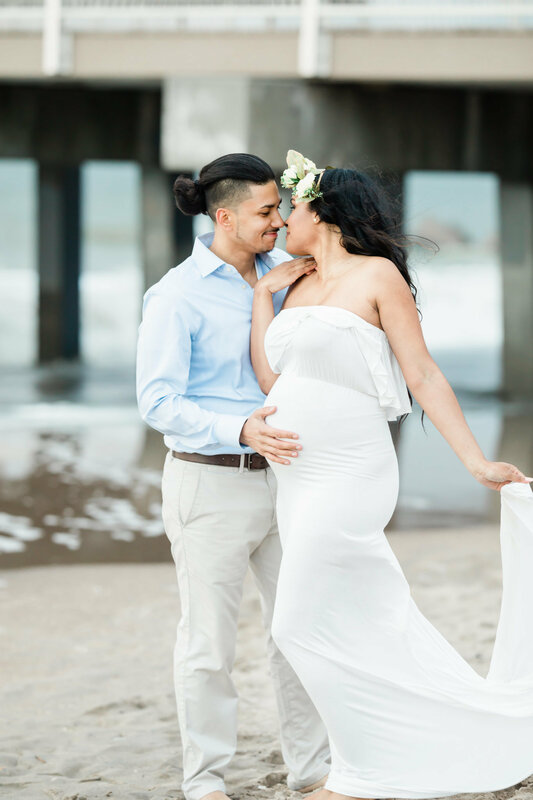 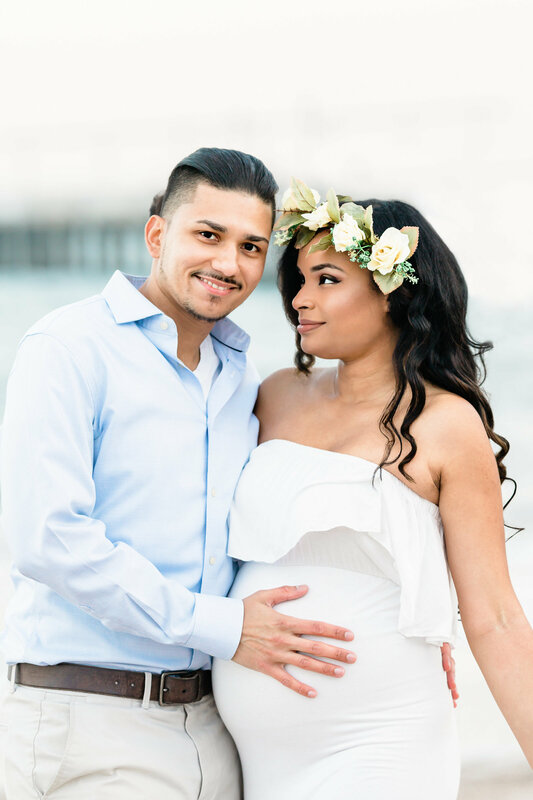 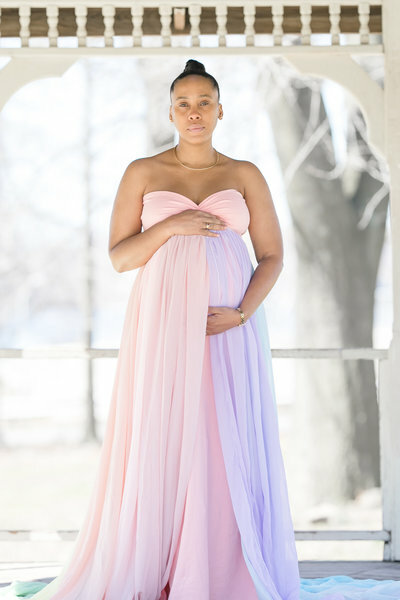 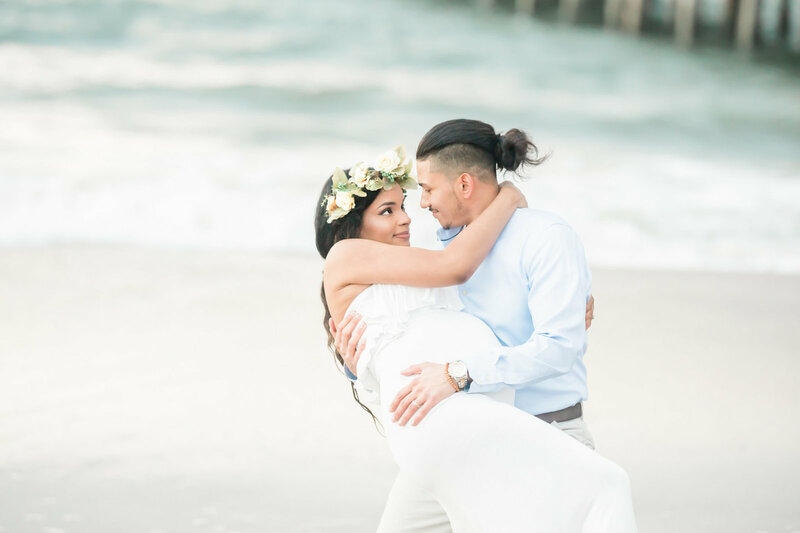 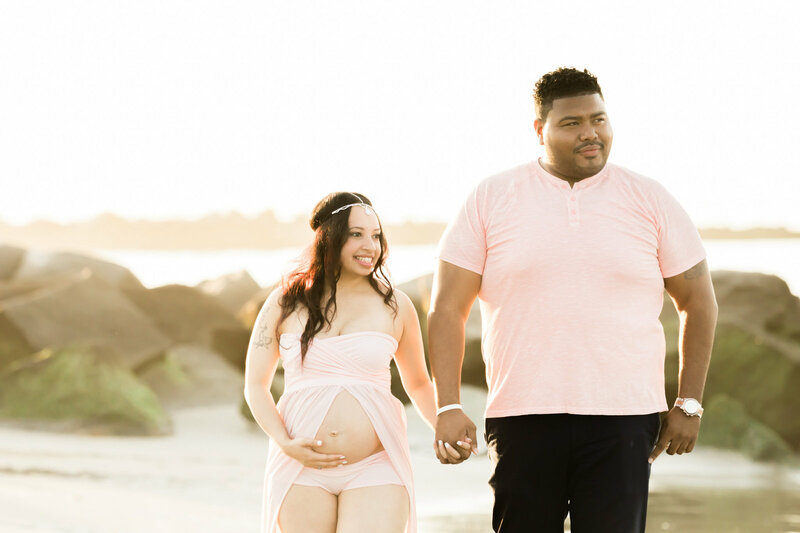 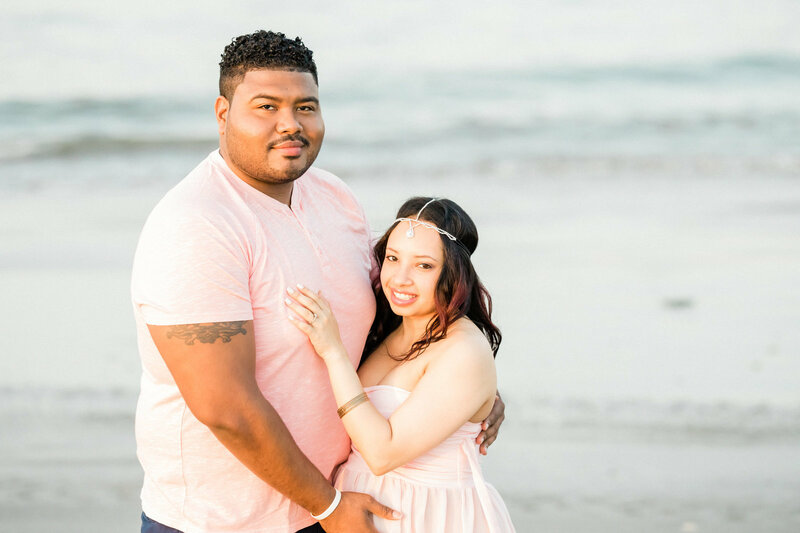 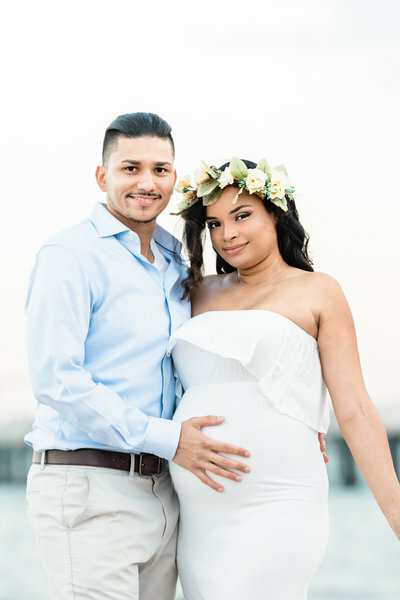 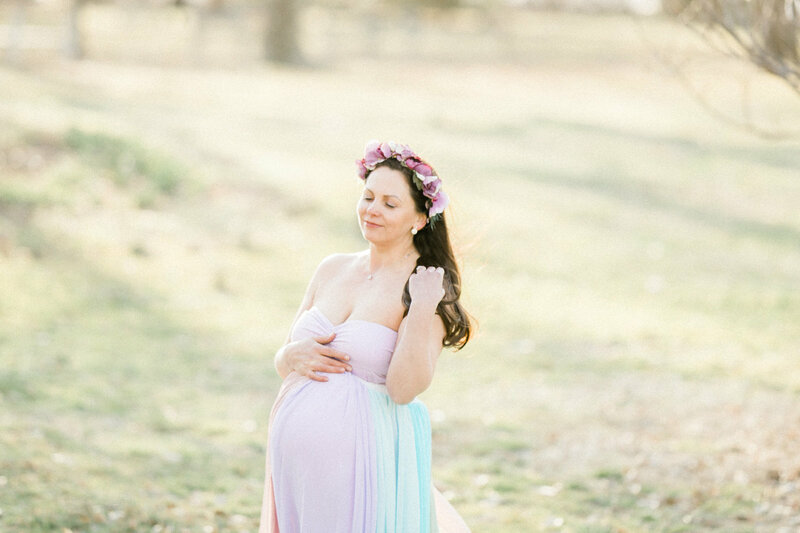 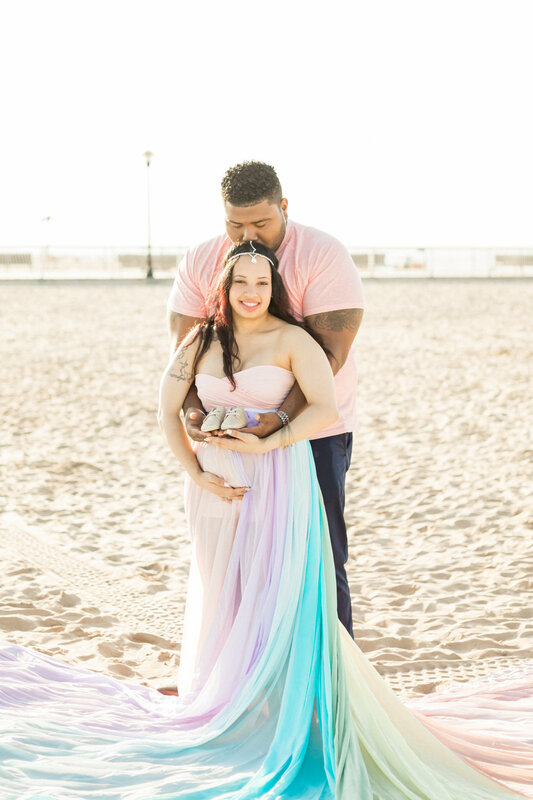 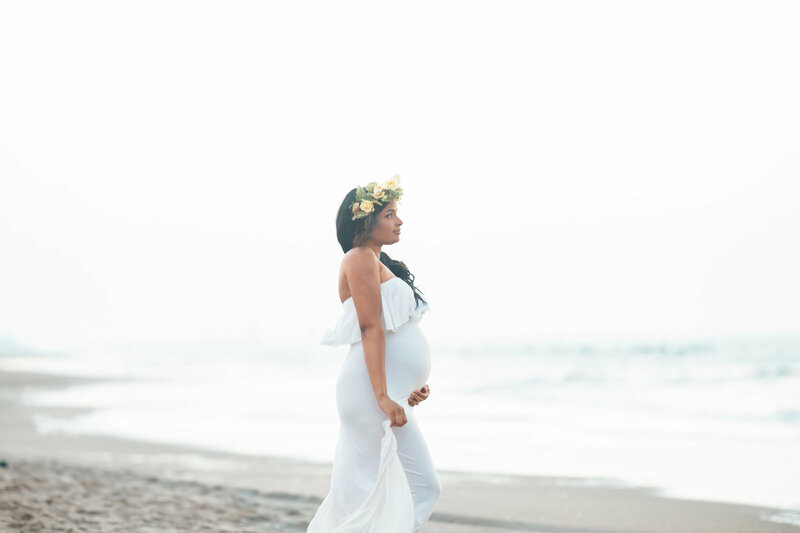 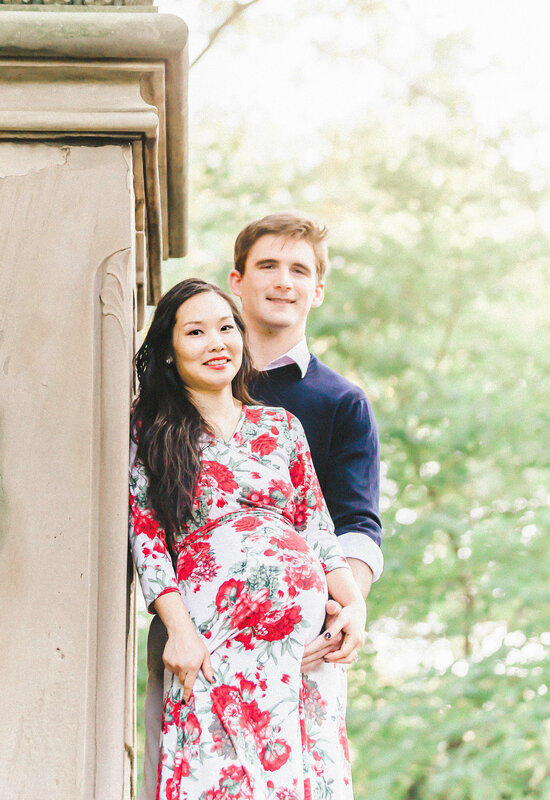 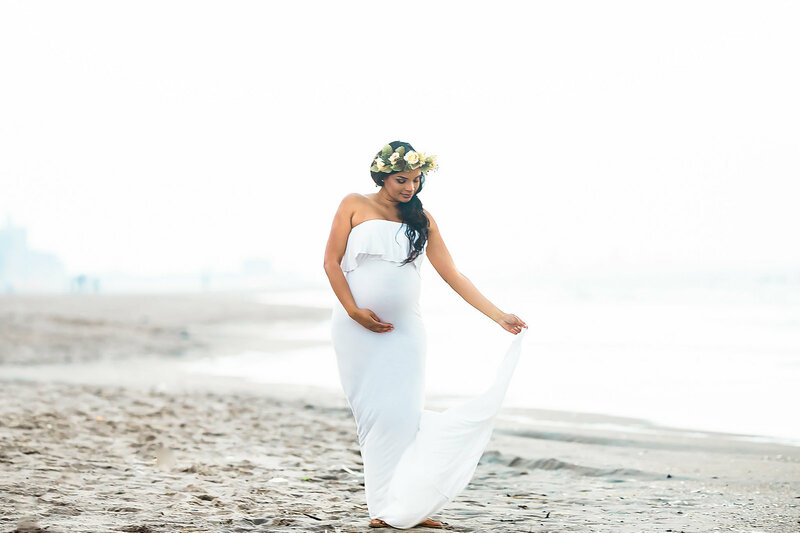 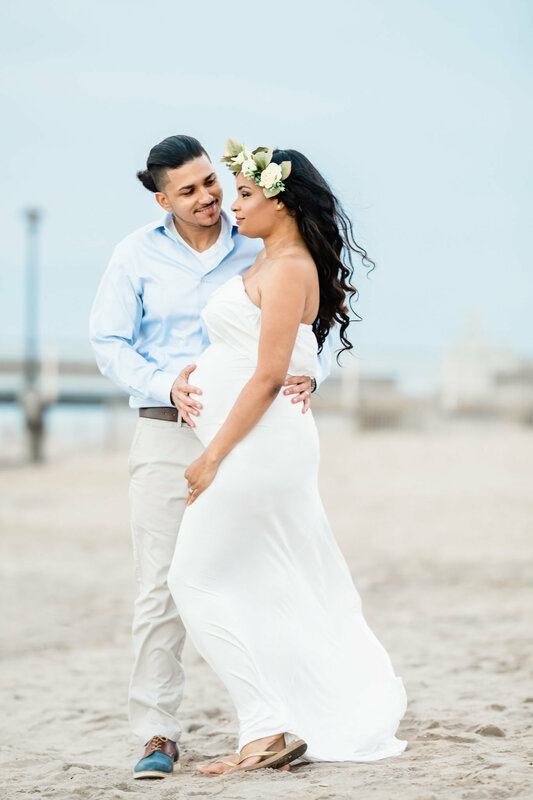 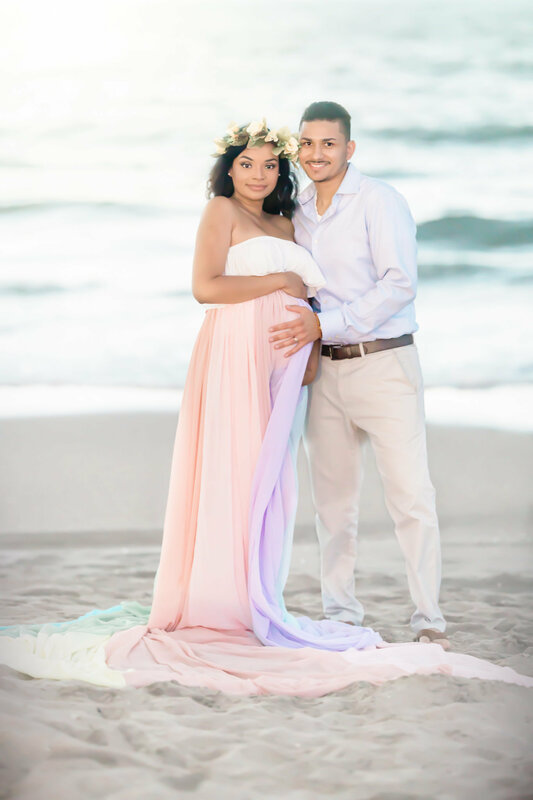 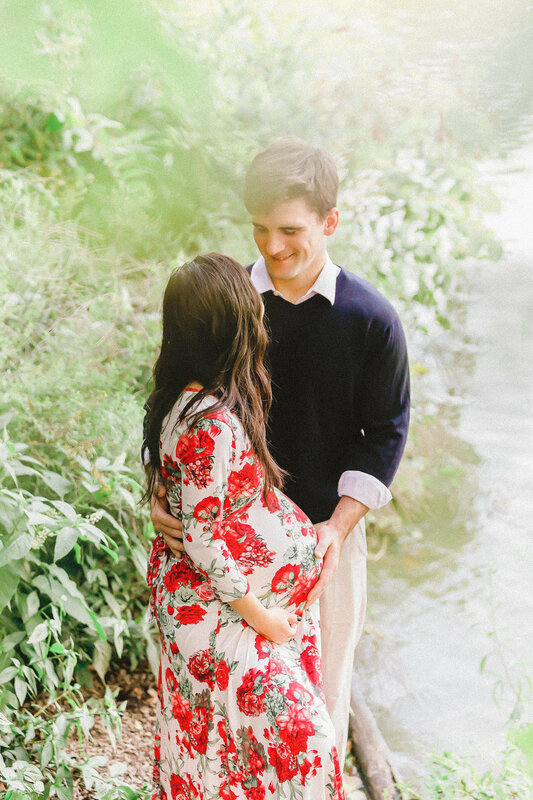 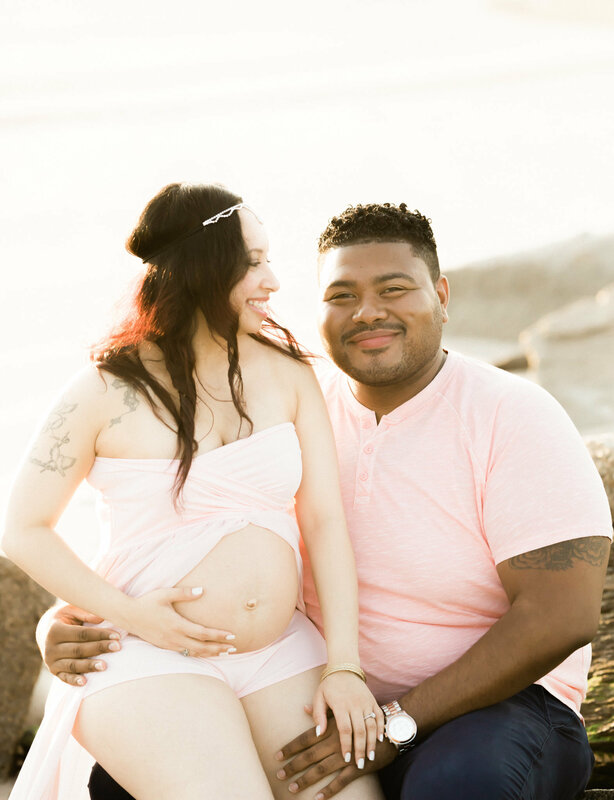 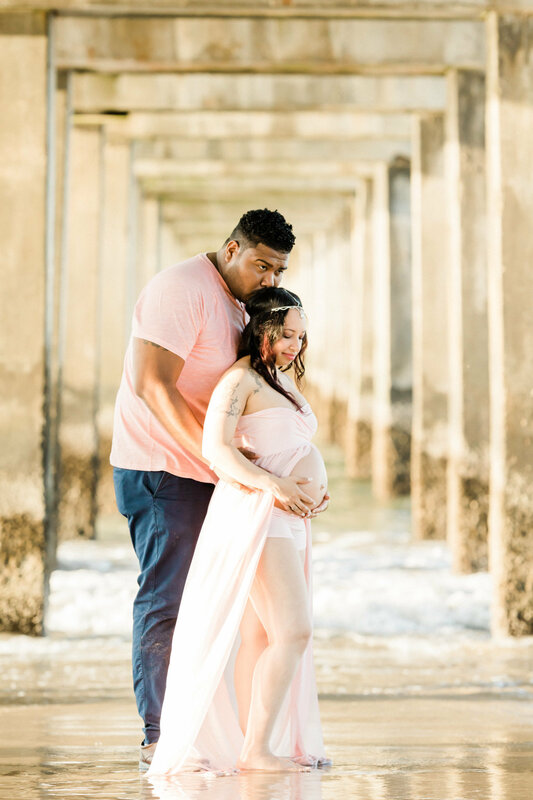 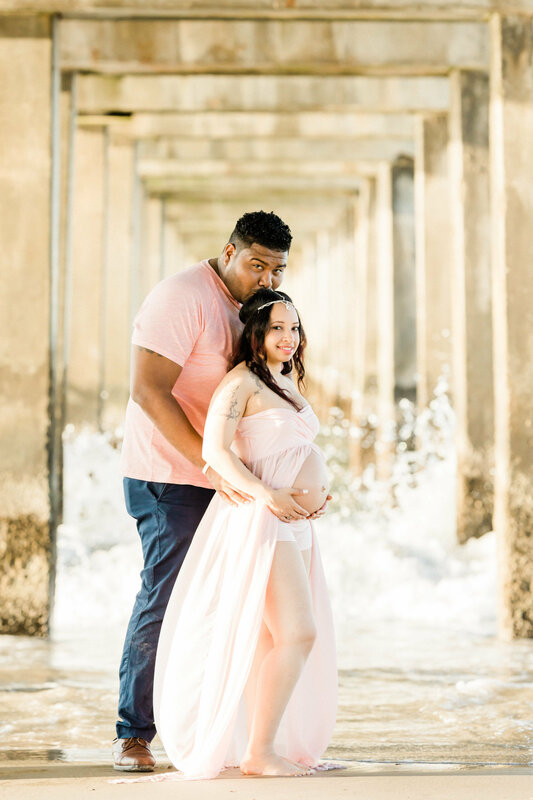 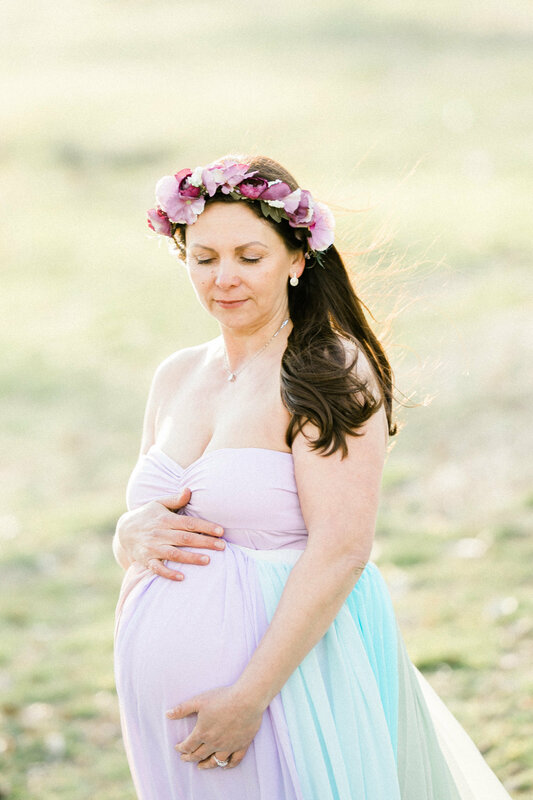 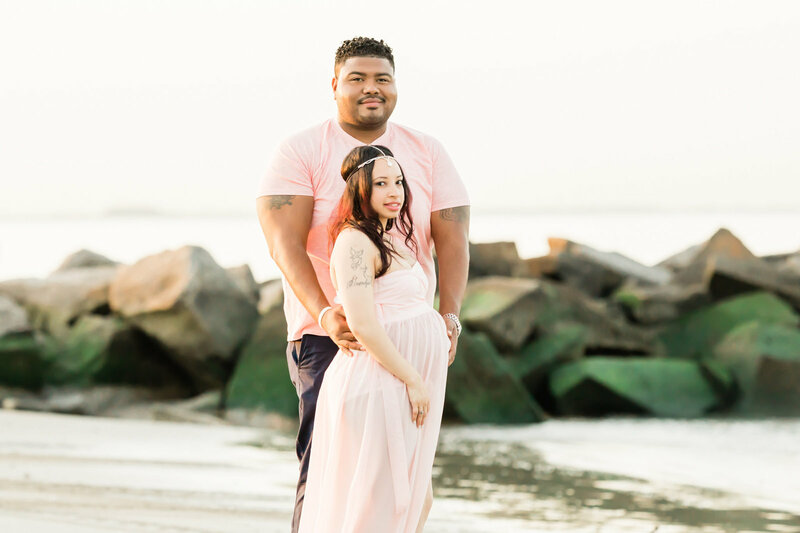 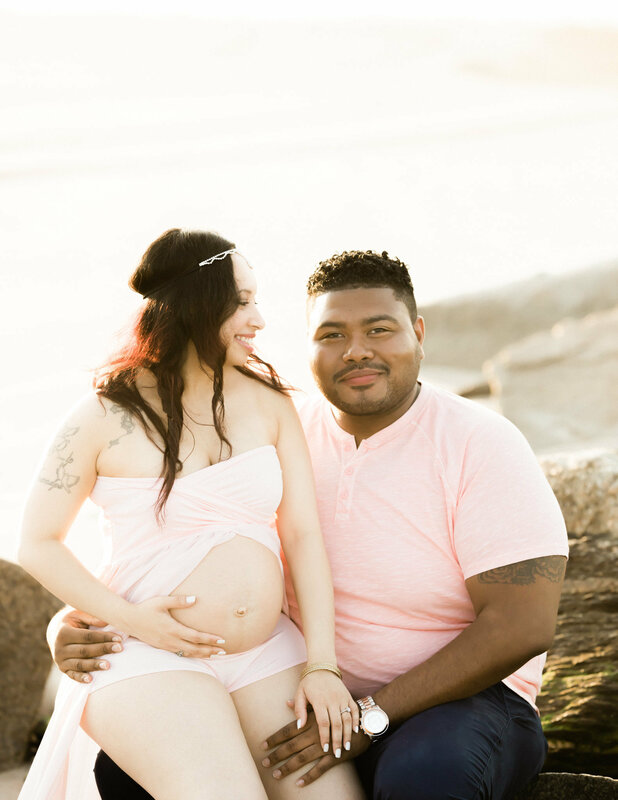 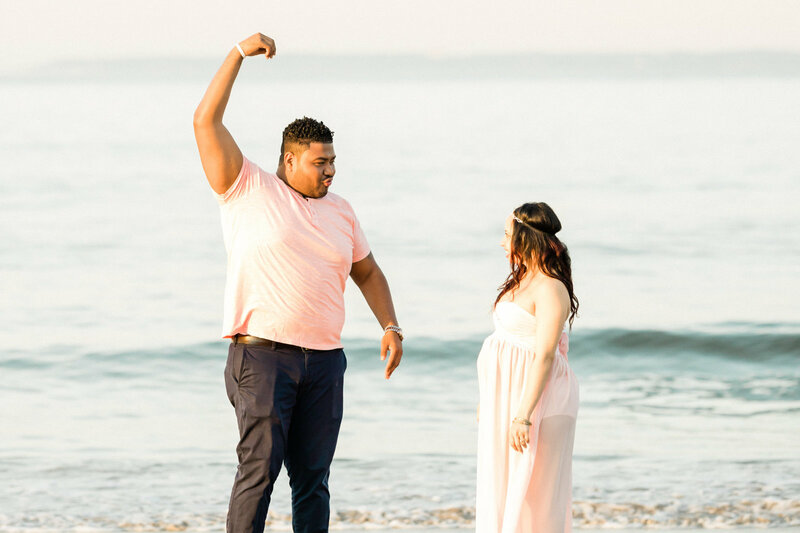 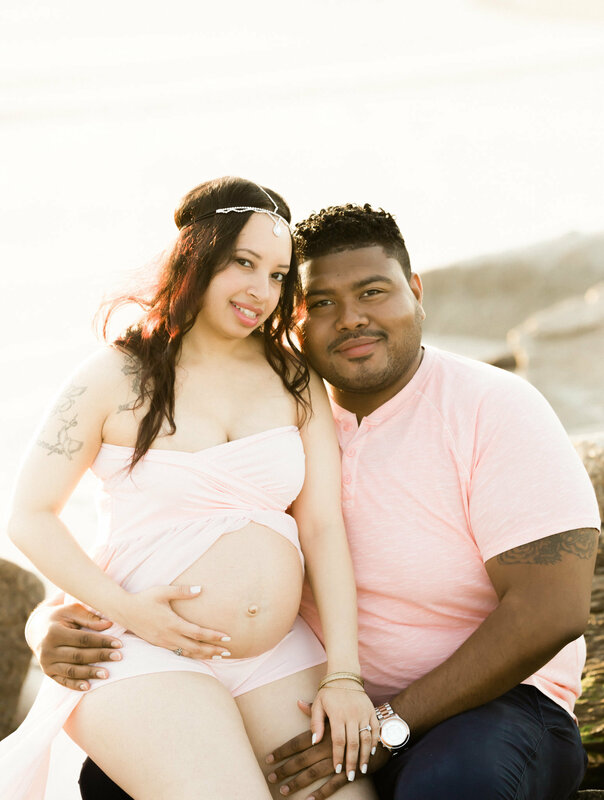 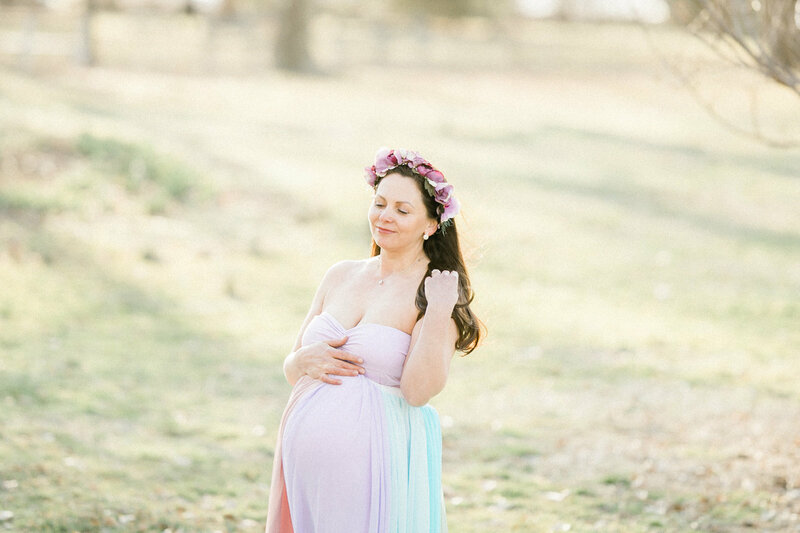 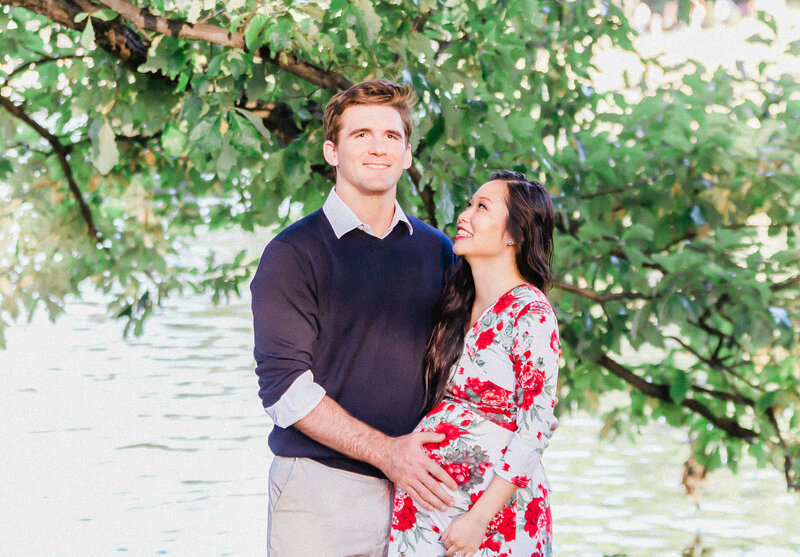 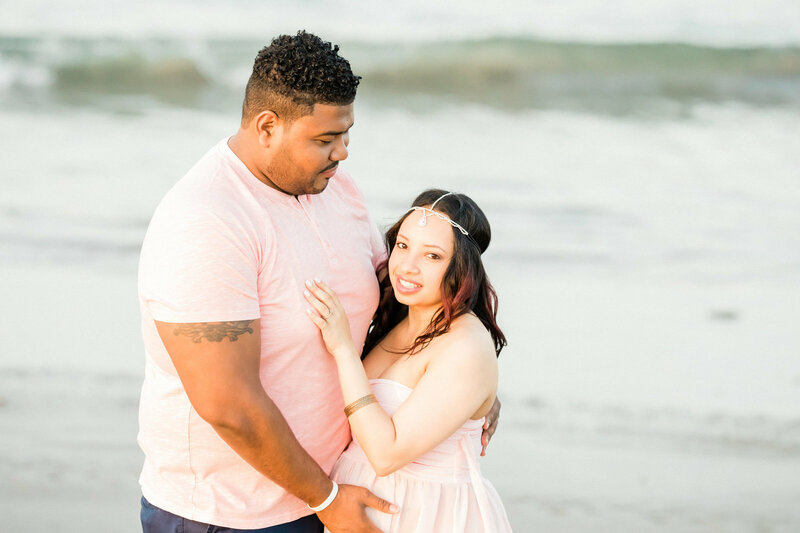 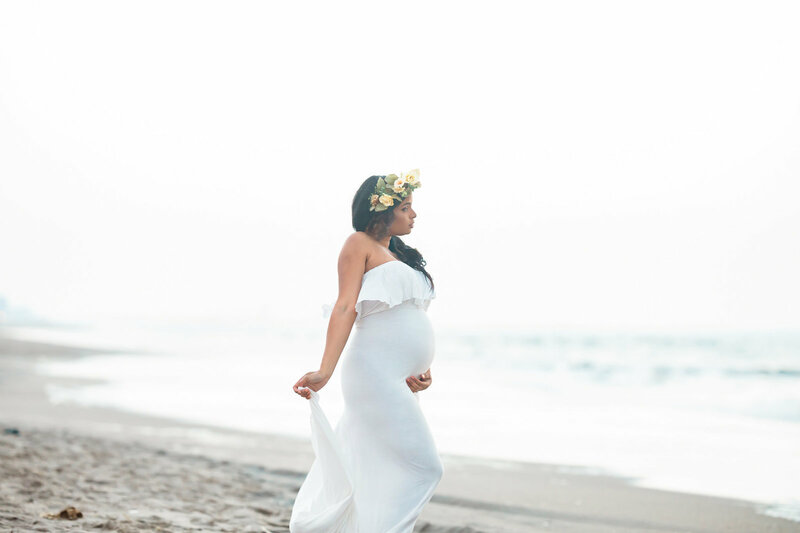 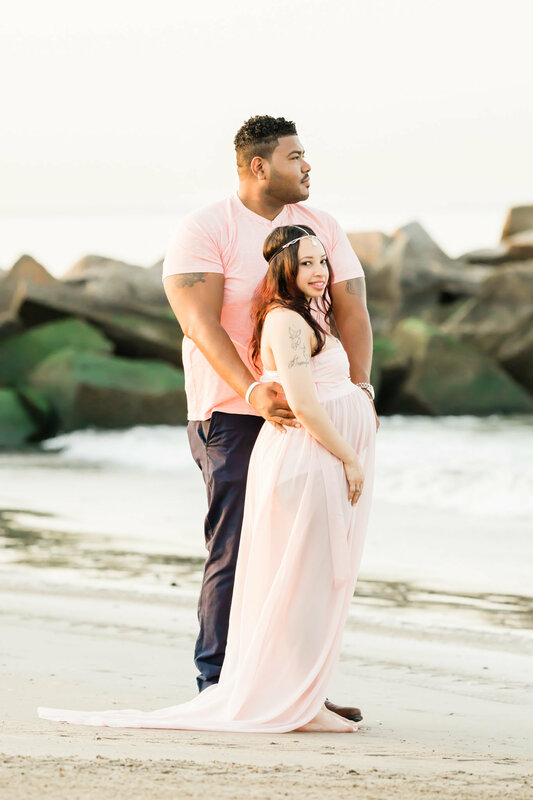 Complete your perfect maternity photo gallery with a professional photos that are edited for styled albums you'll want to put out for your guests to see. 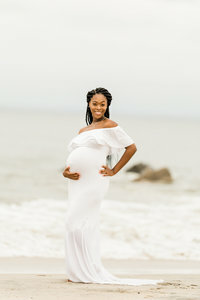 Plus, I offer an assortment of traditional and modern wall art you can hang in your nursery for your baby to look at to remember you by.